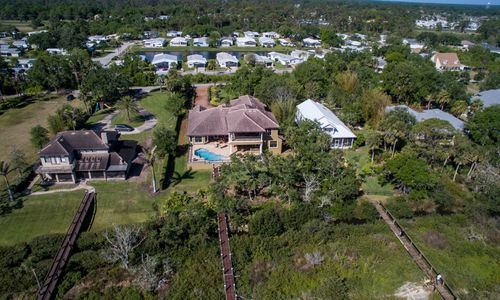 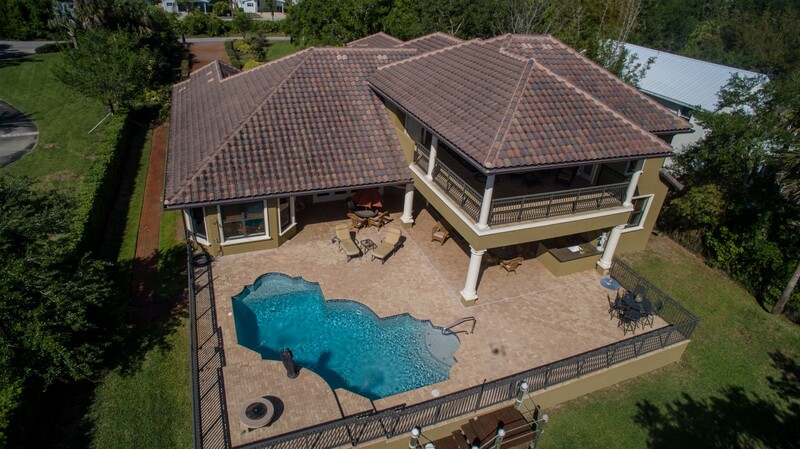 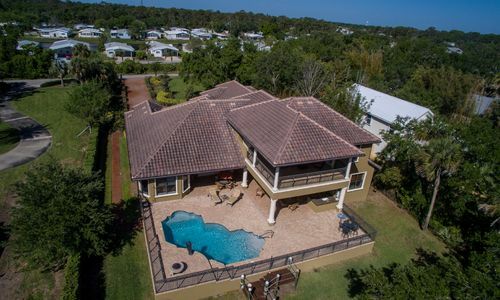 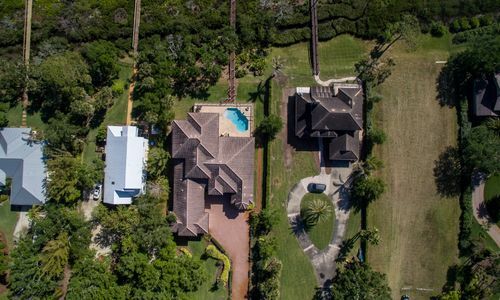 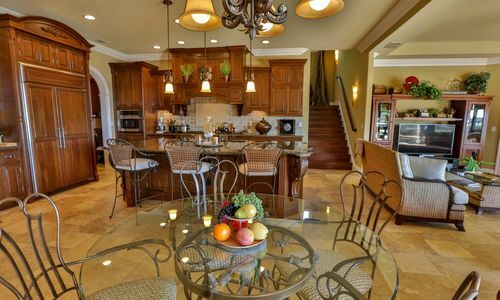 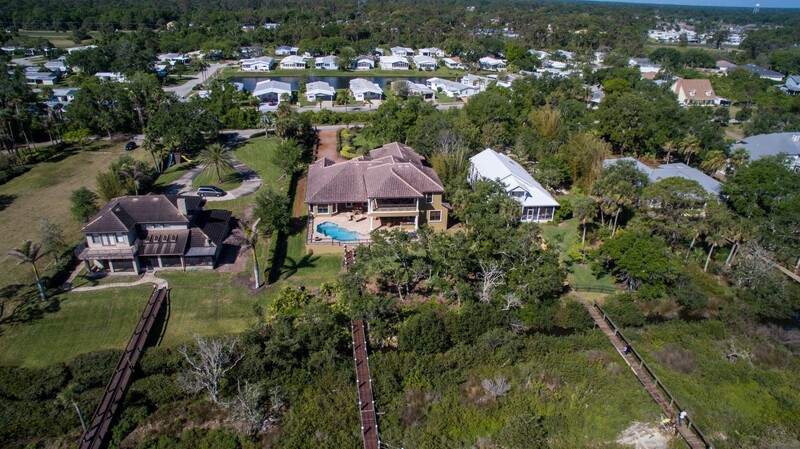 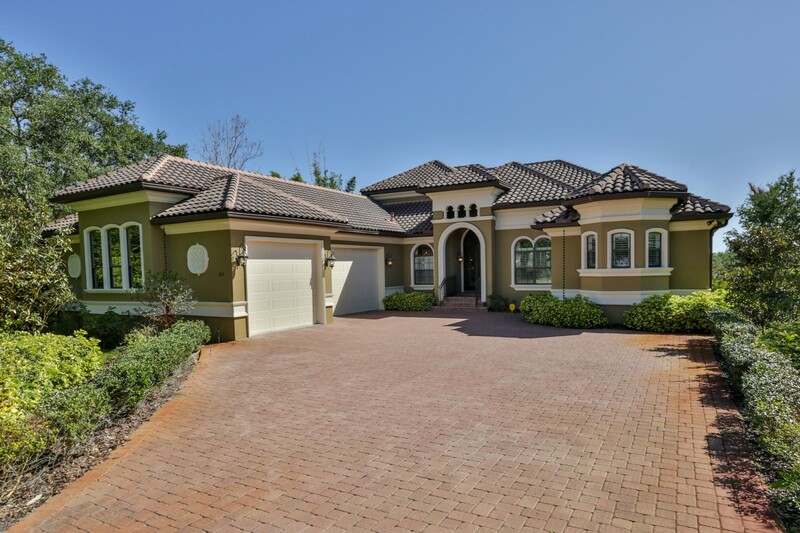 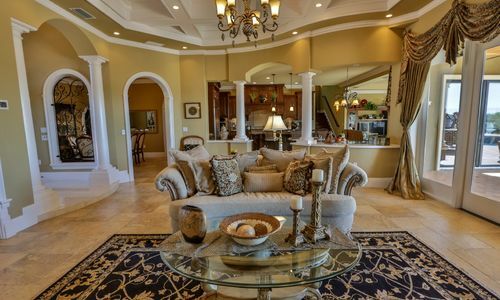 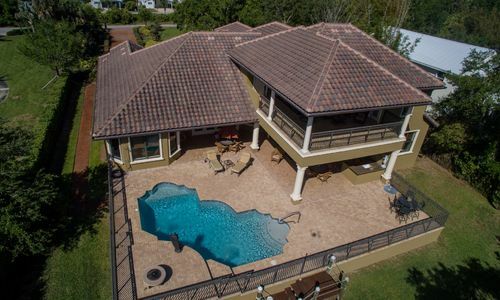 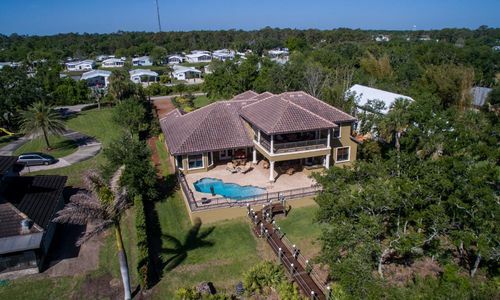 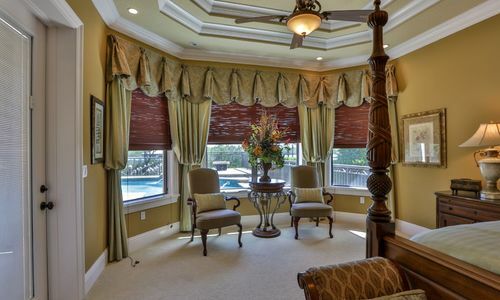 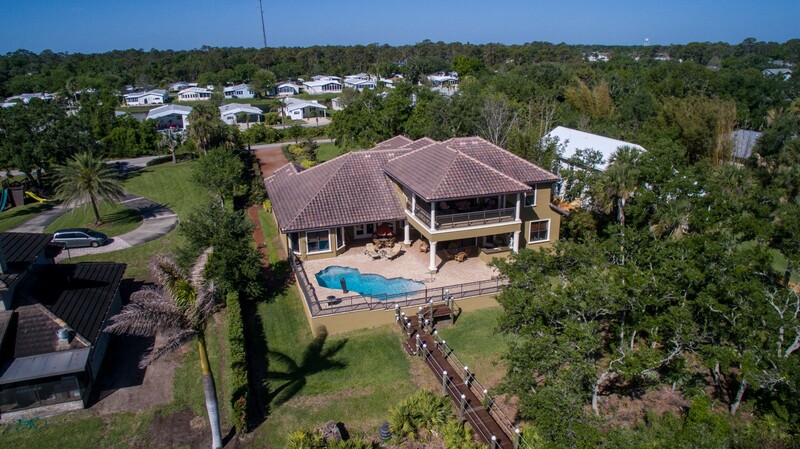 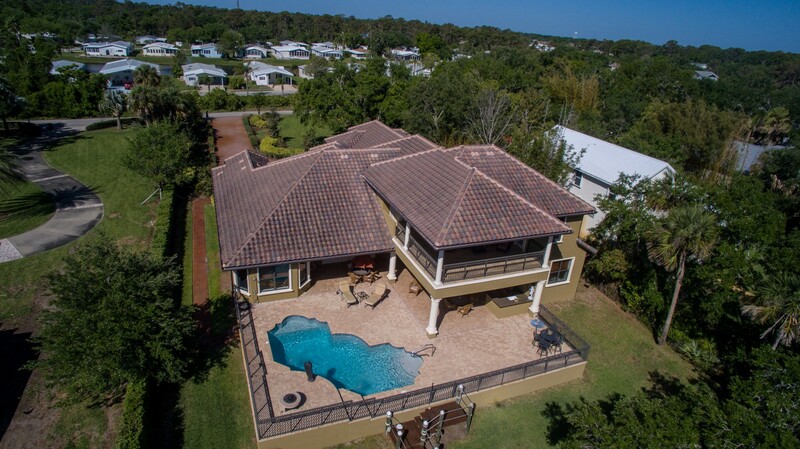 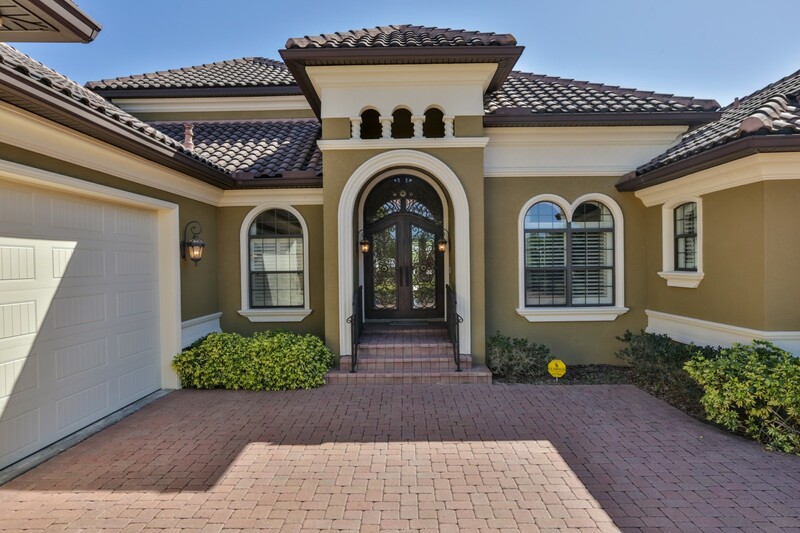 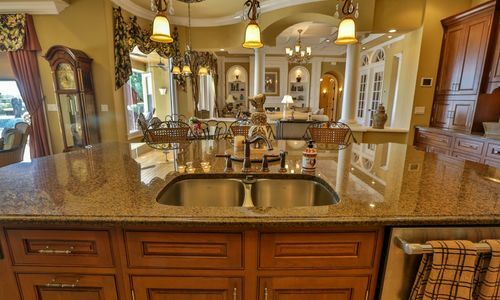 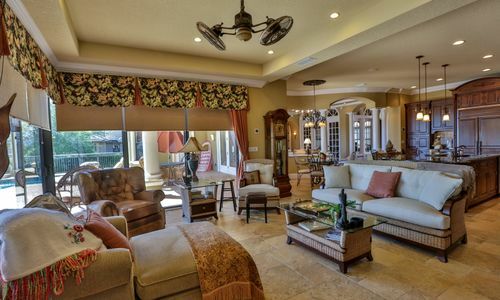 Direct Intracoastal spectacular Mediterranean style custom built magnificent 4 bedroom 4 bath pool home nestled on a private drive with stunning architectural details. 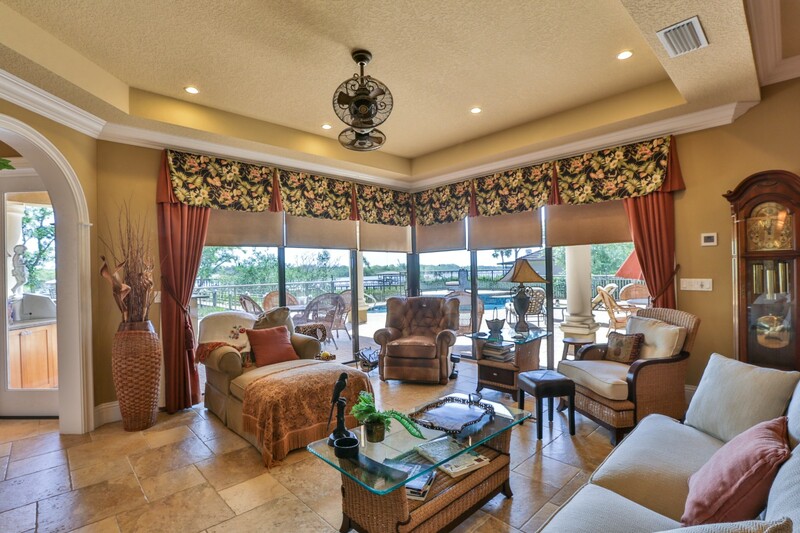 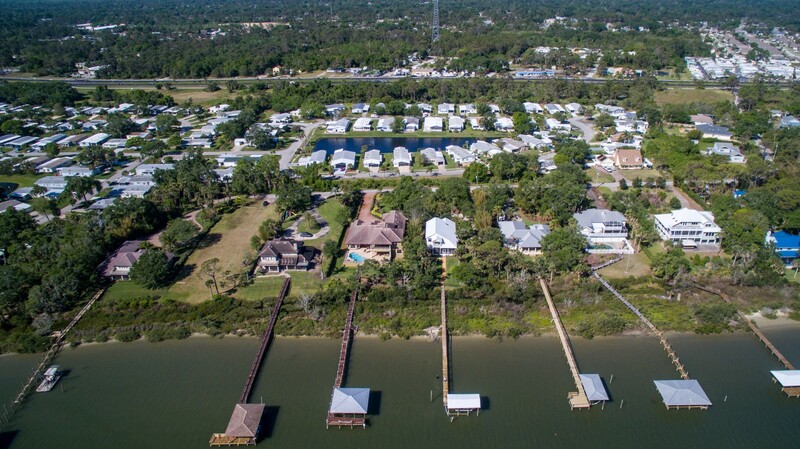 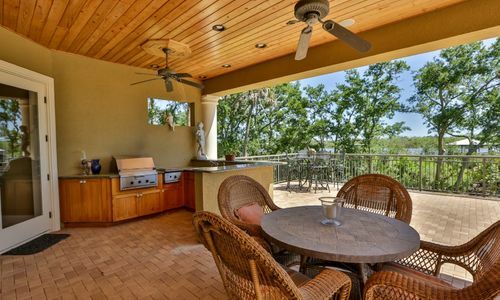 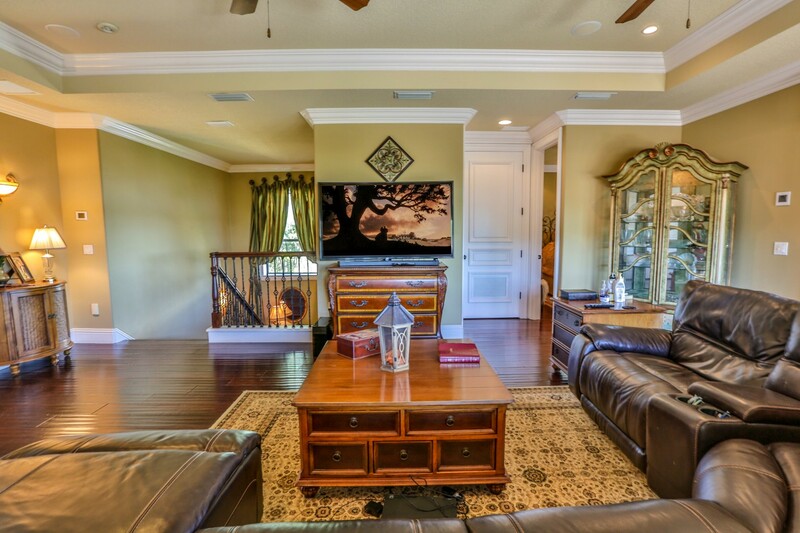 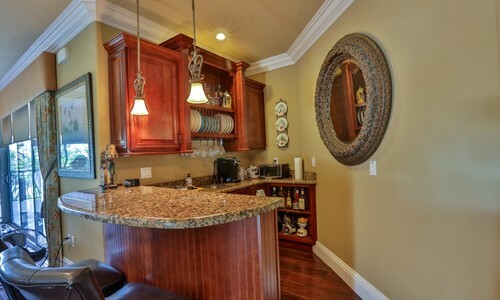 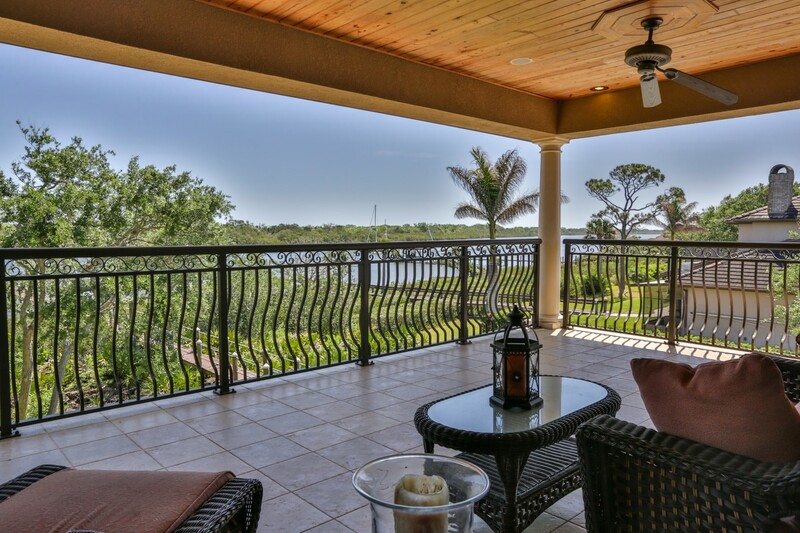 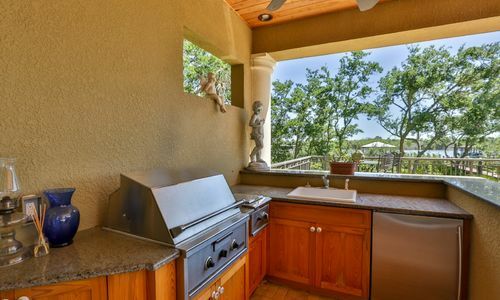 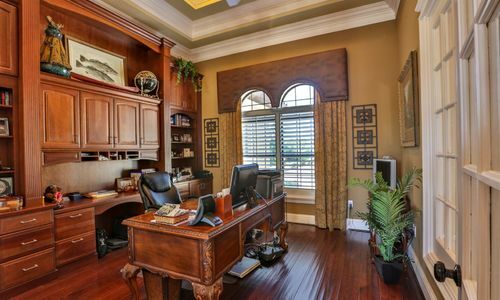 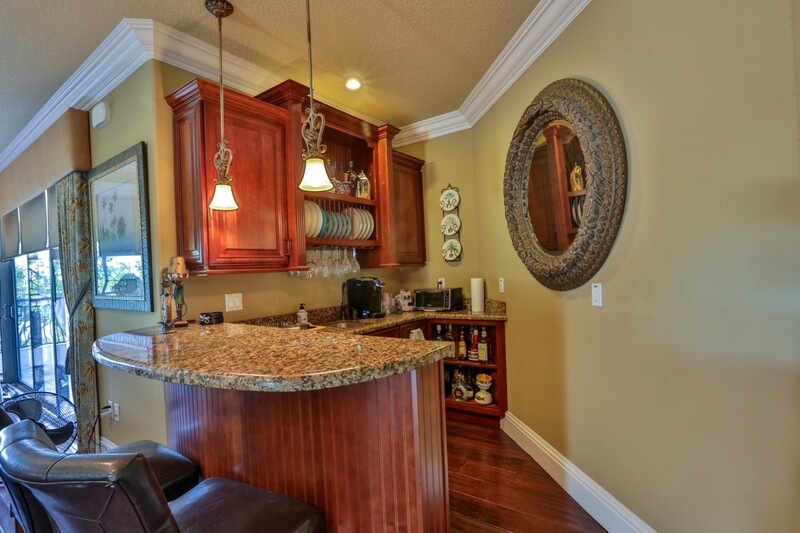 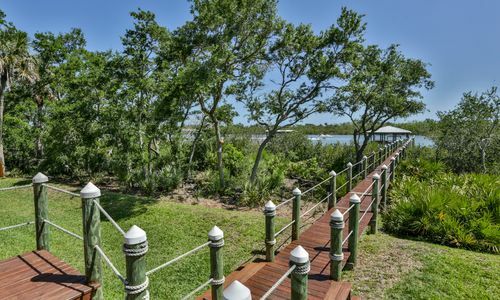 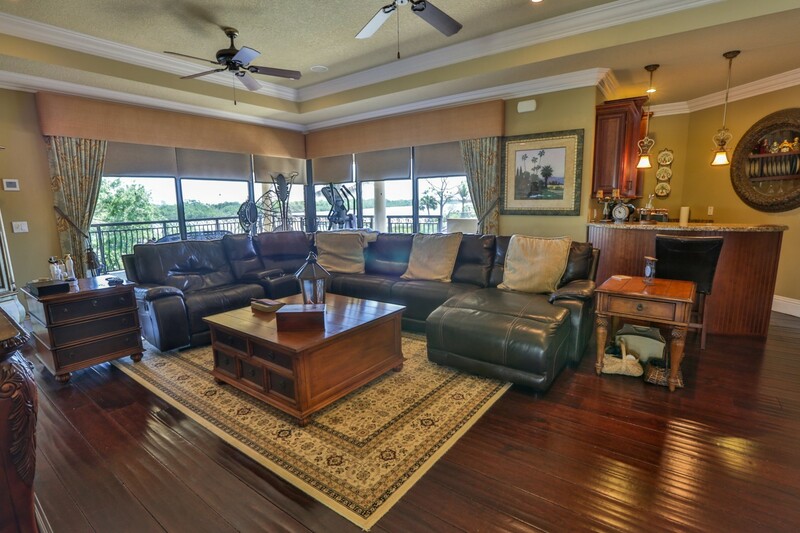 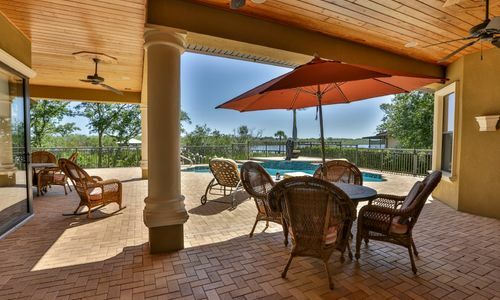 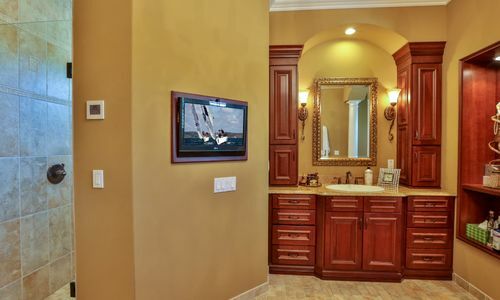 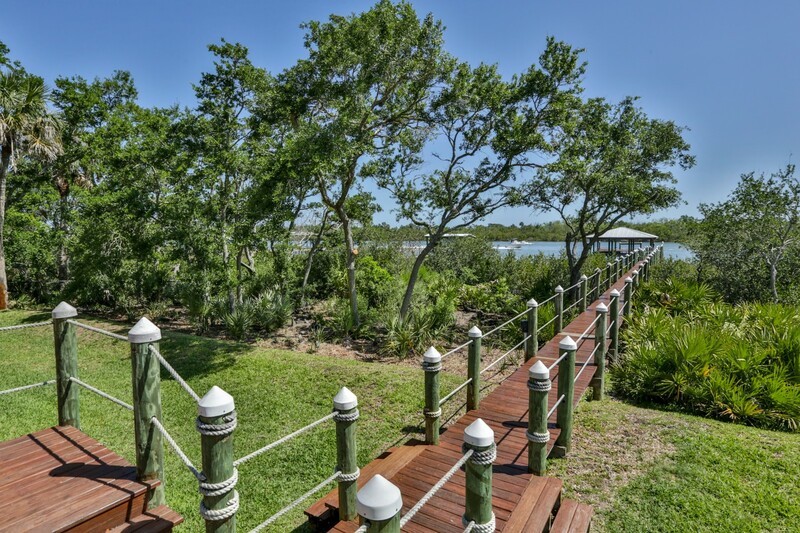 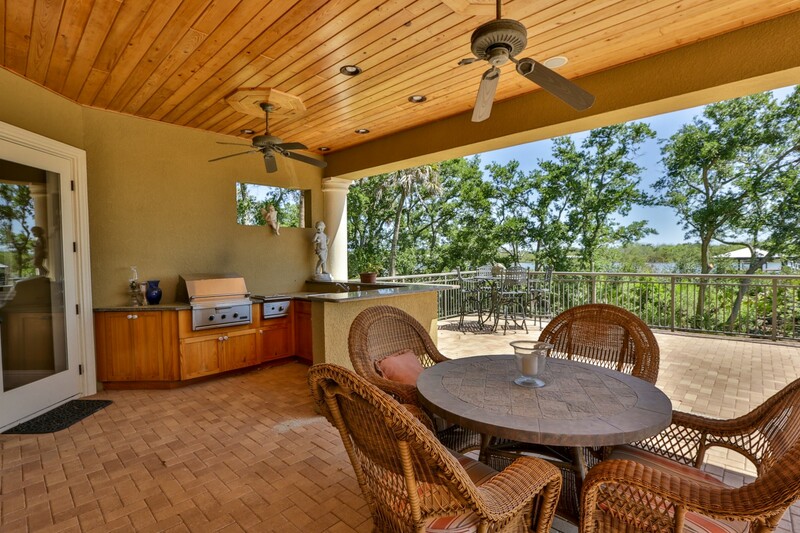 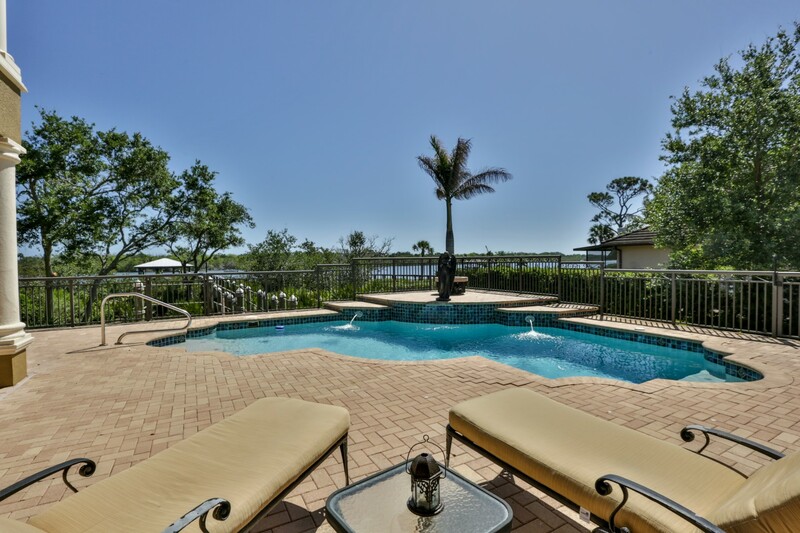 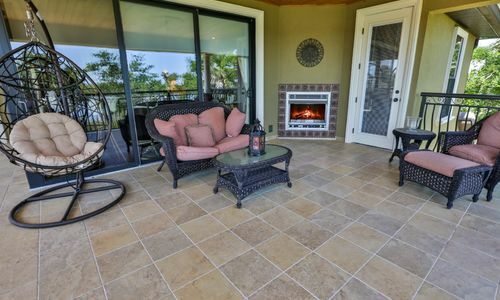 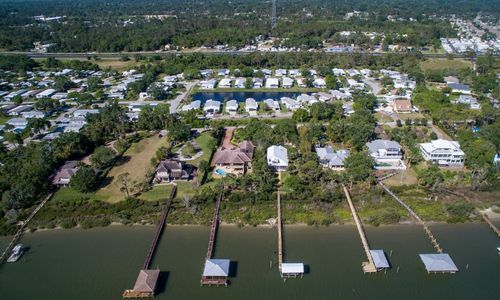 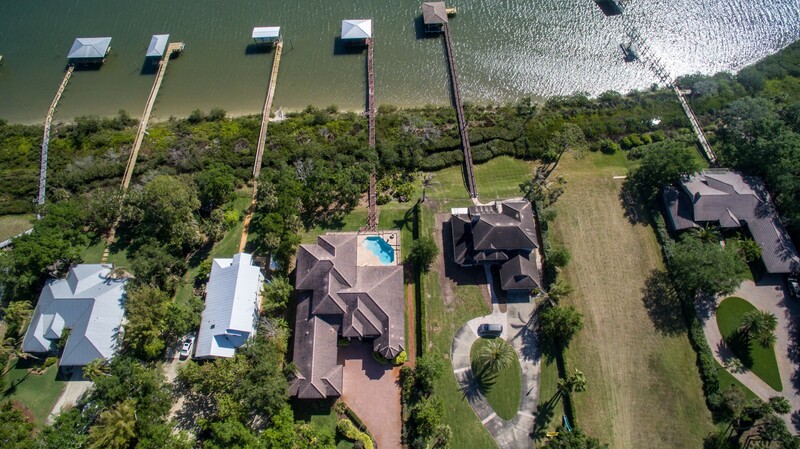 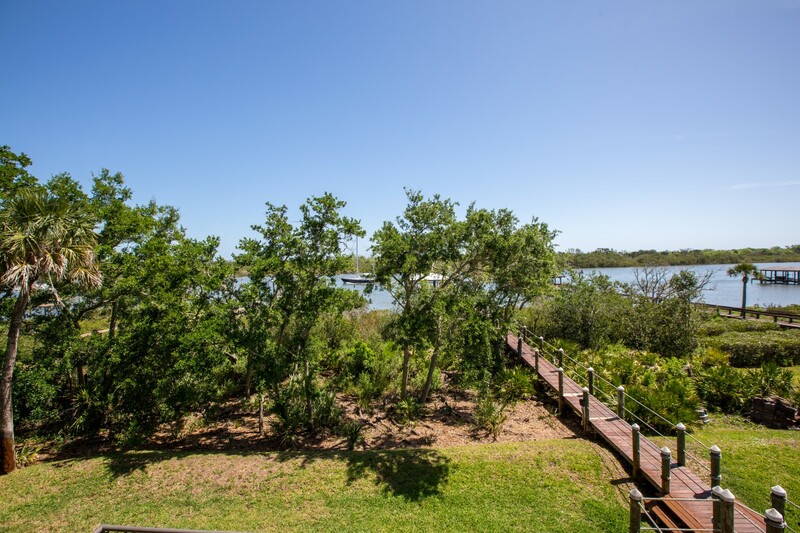 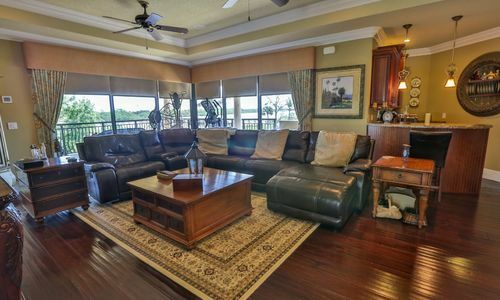 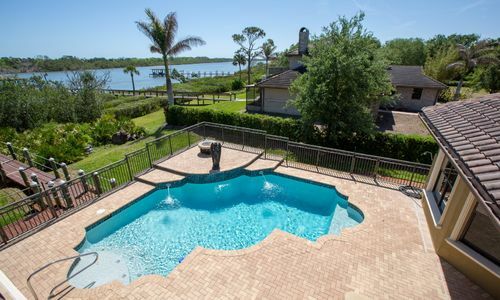 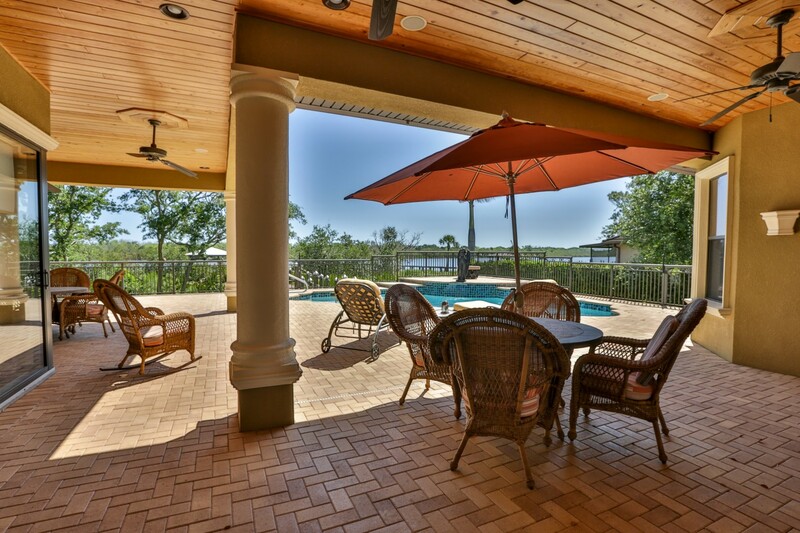 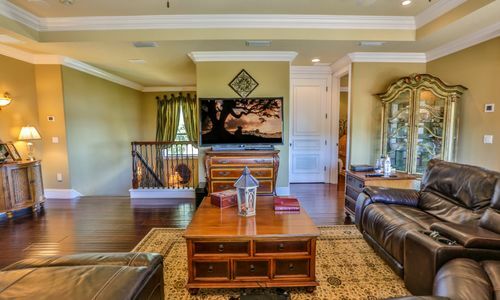 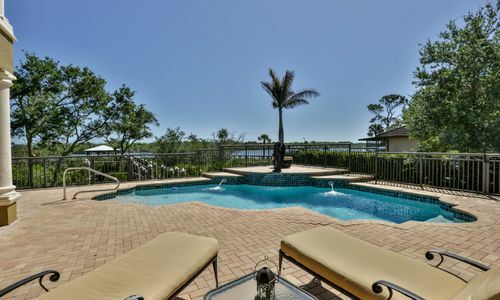 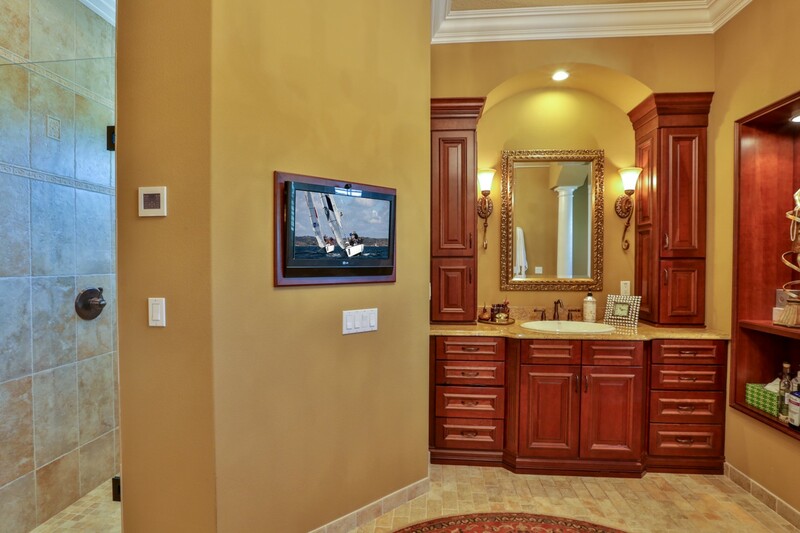 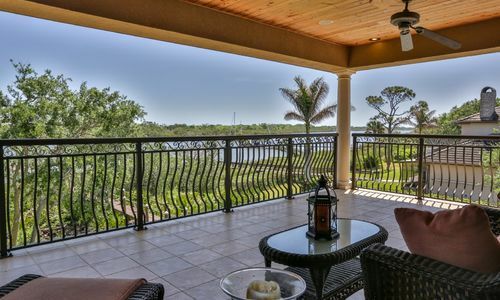 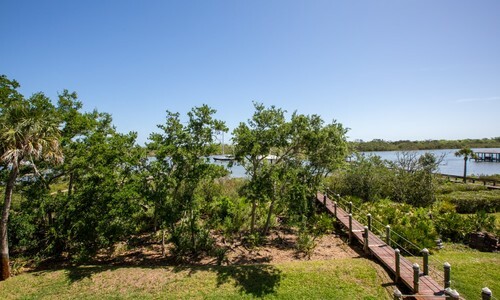 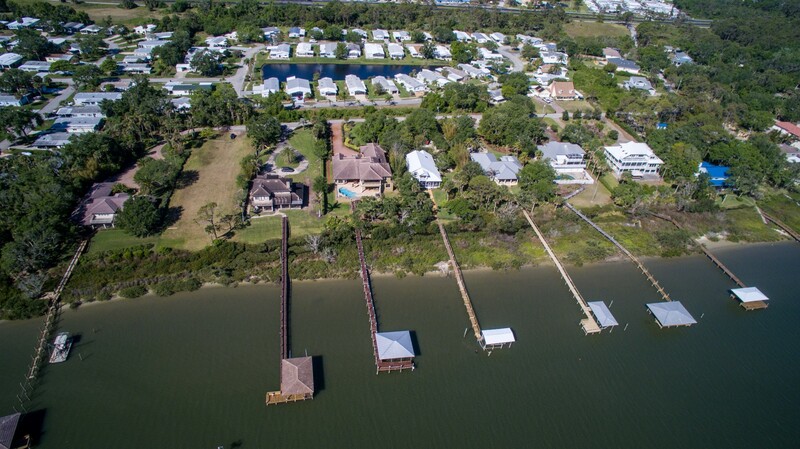 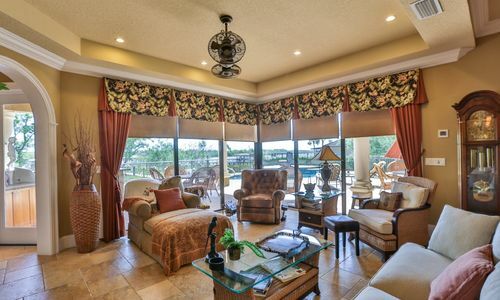 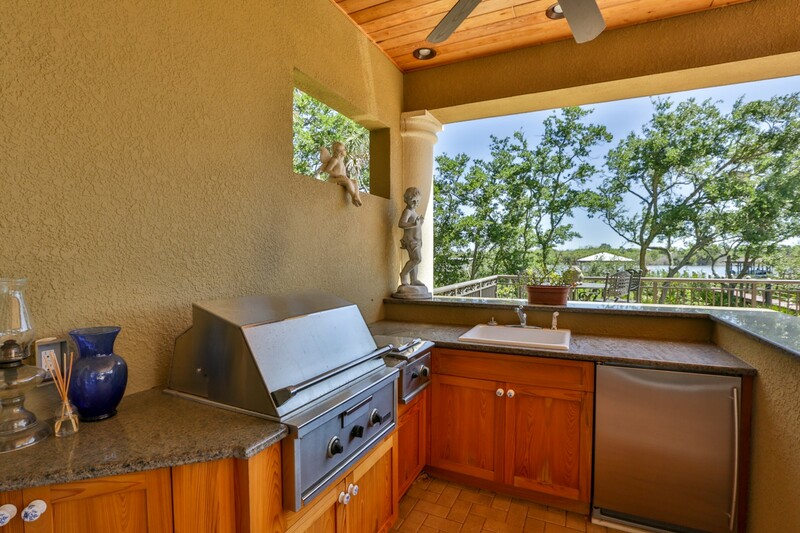 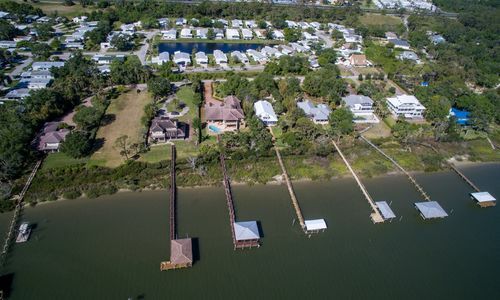 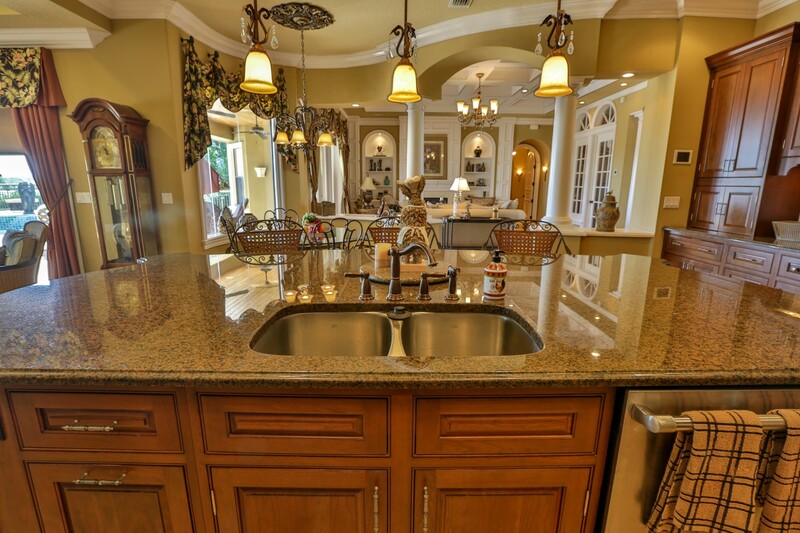 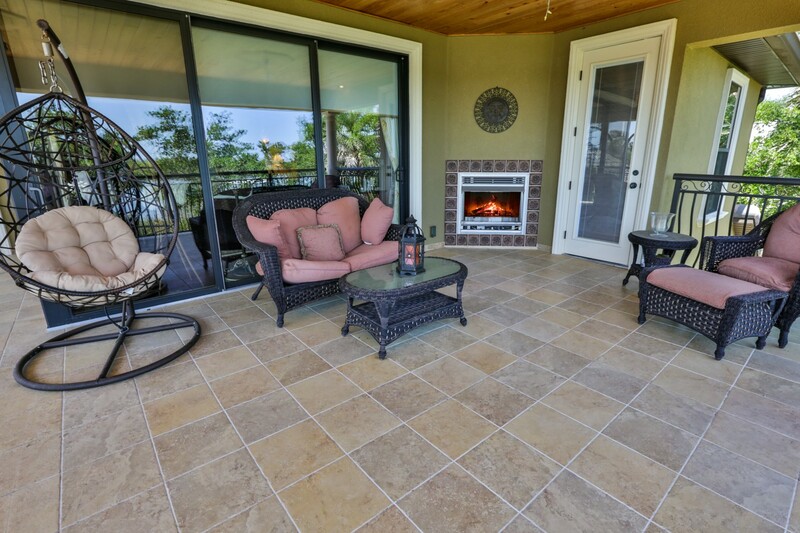 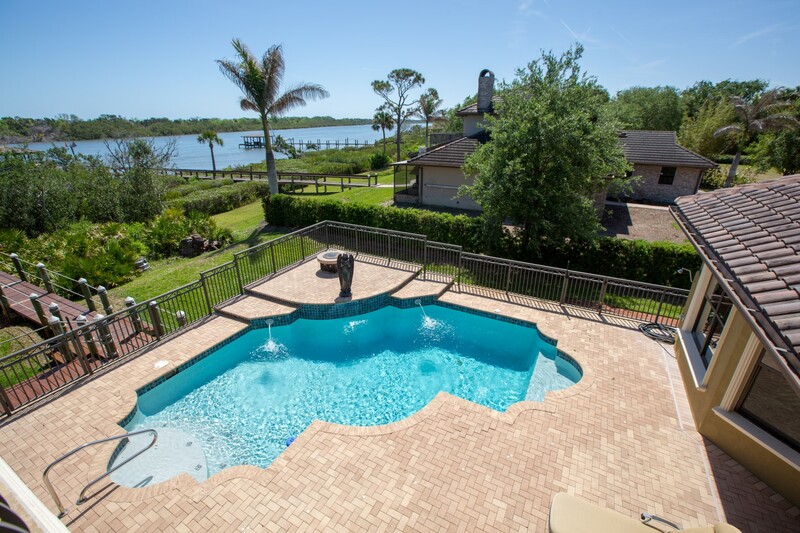 Amazing views of the Intracoastal Waterway. 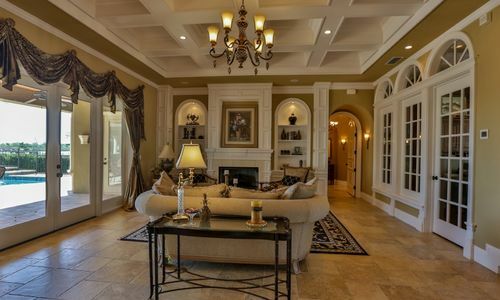 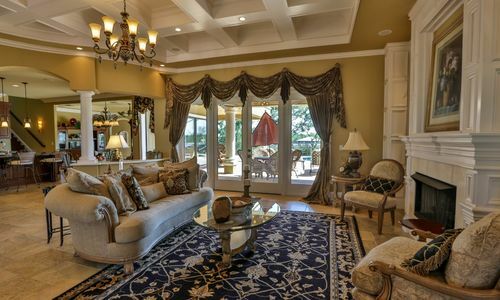 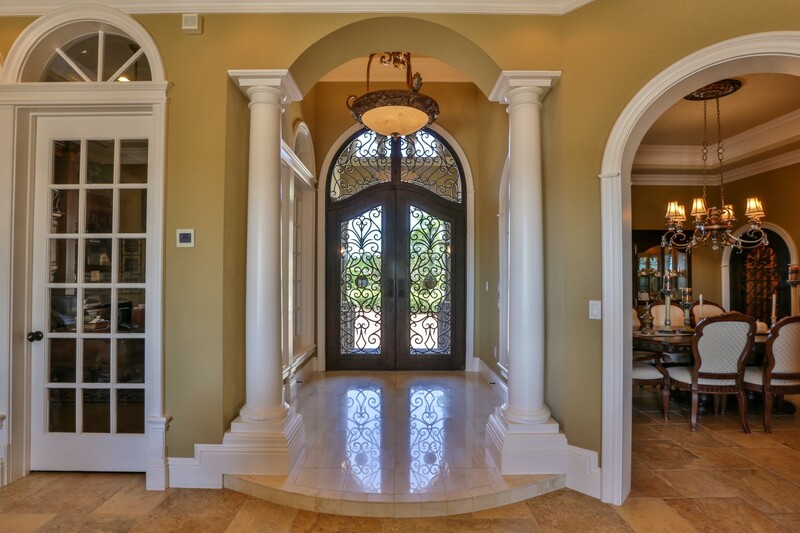 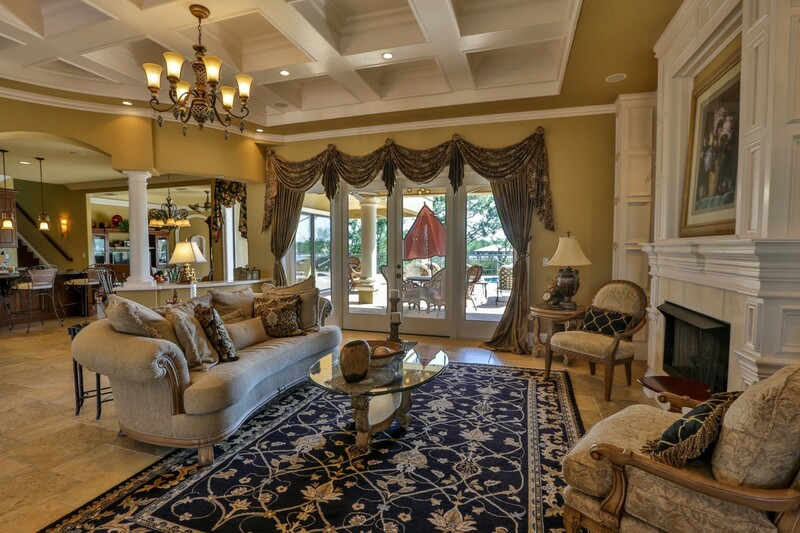 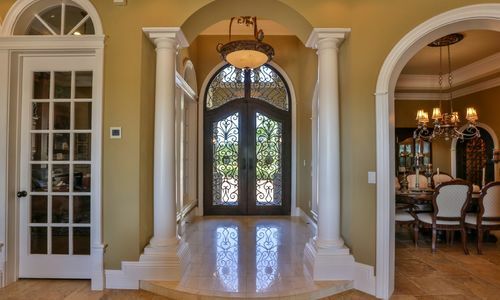 This majestic home is accessed through twin Castle Entry doors that lead to an impressive marble Grand Foyer, Formal Living room with fireplace and elegant French doors leading to the pool terrace and summer kitchen. 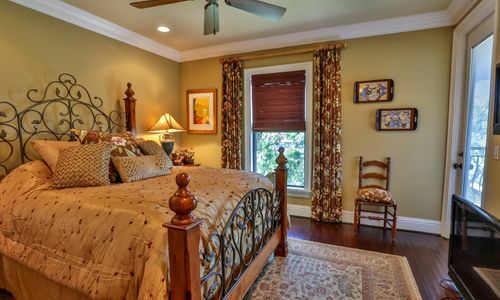 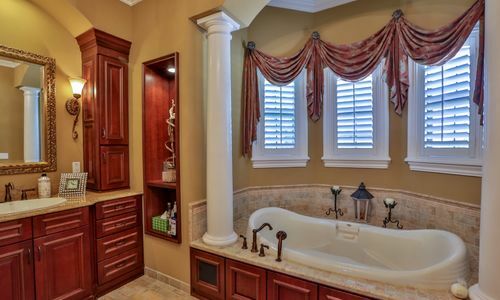 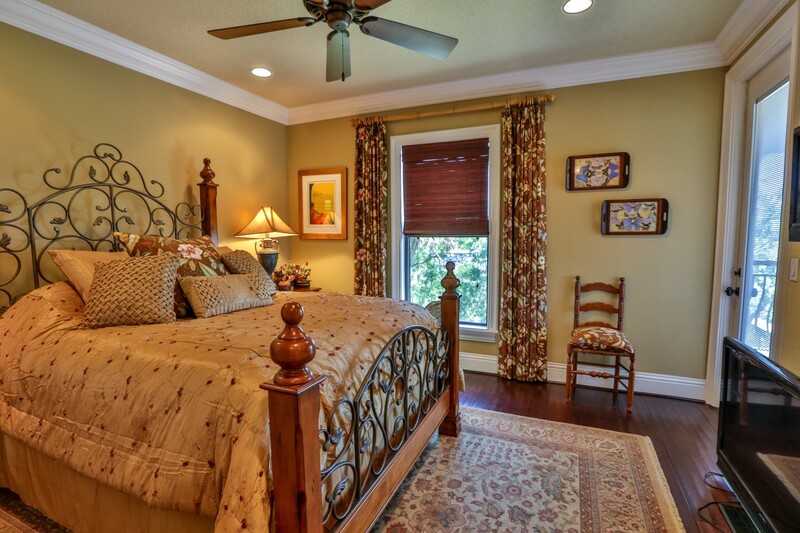 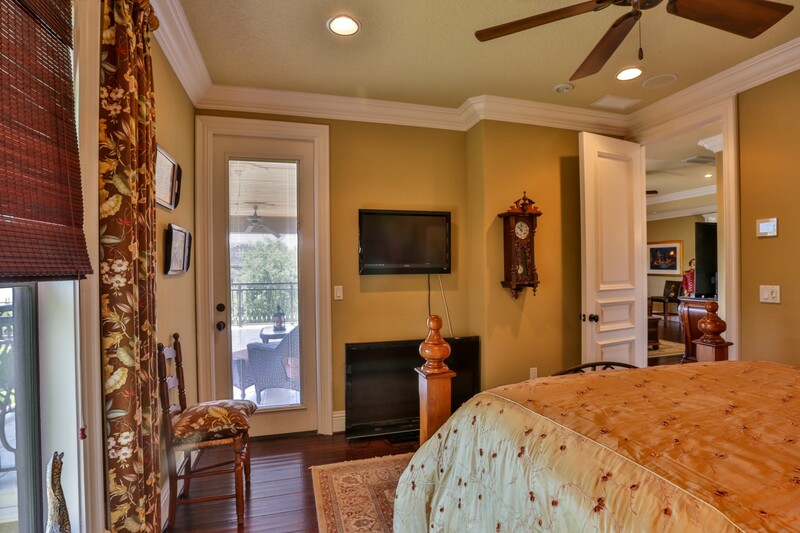 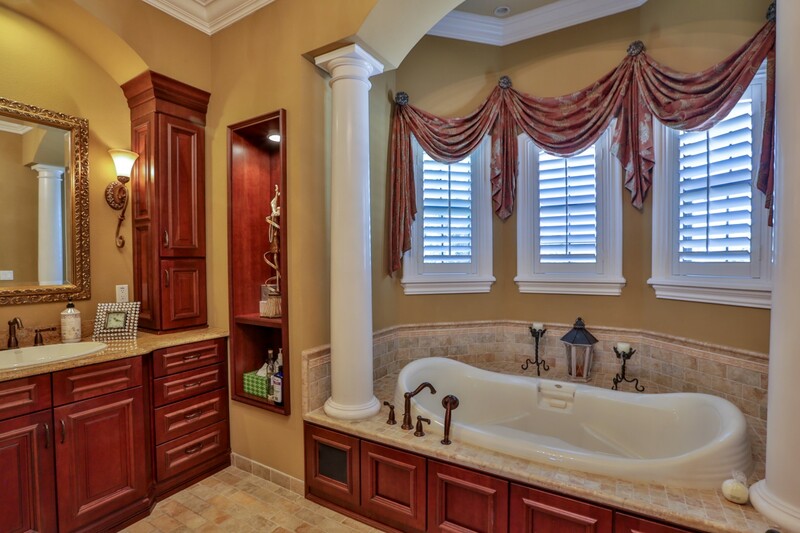 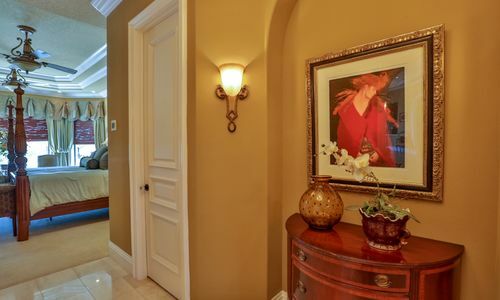 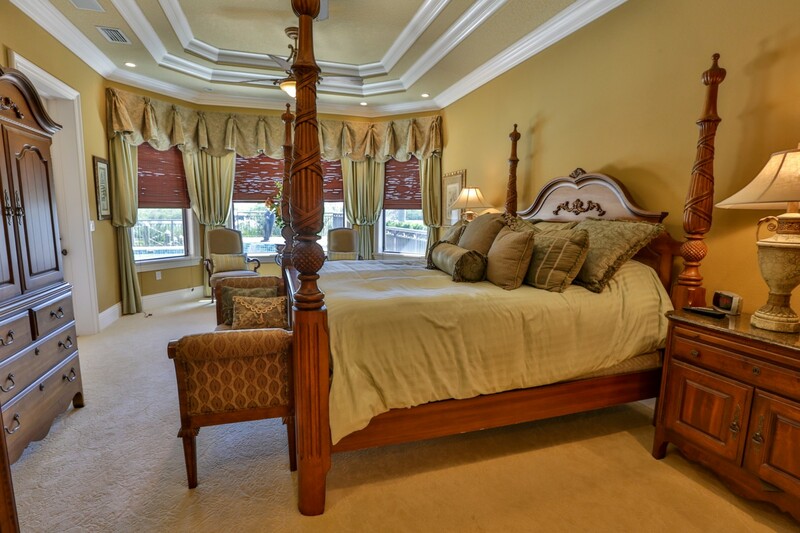 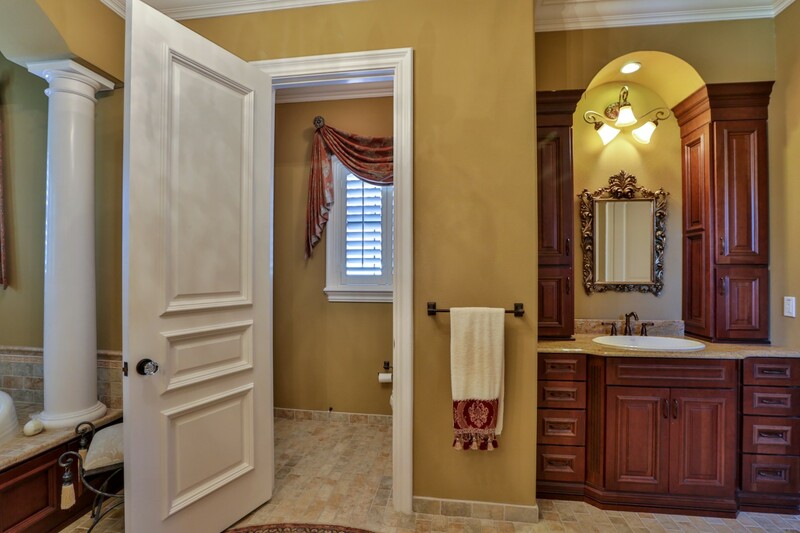 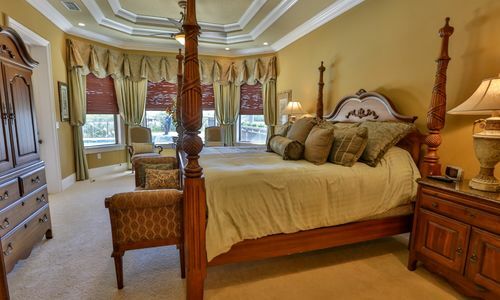 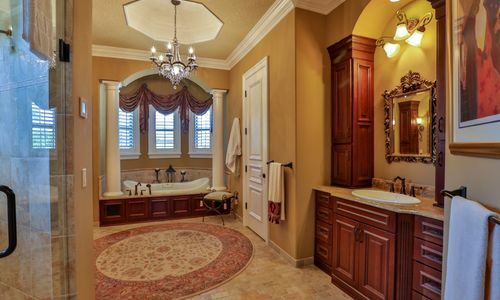 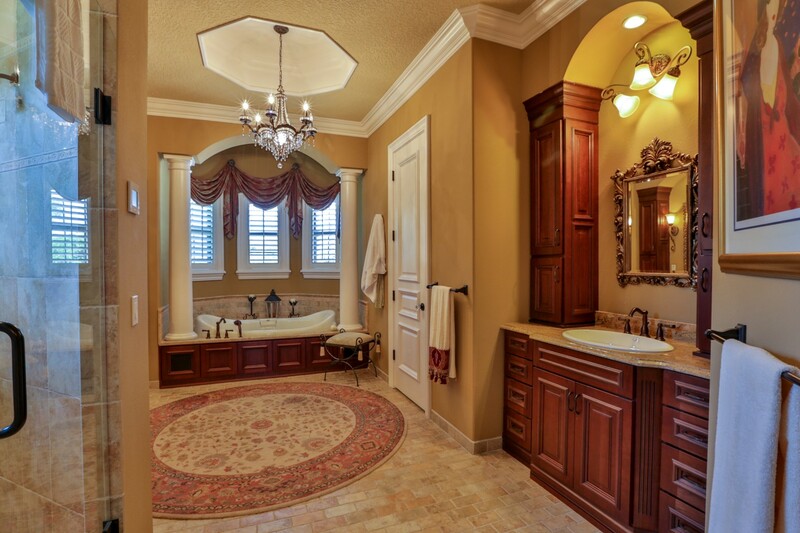 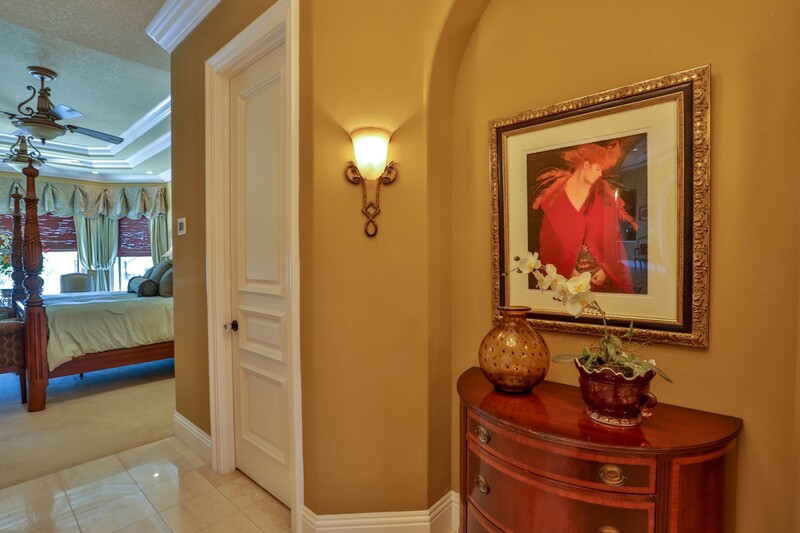 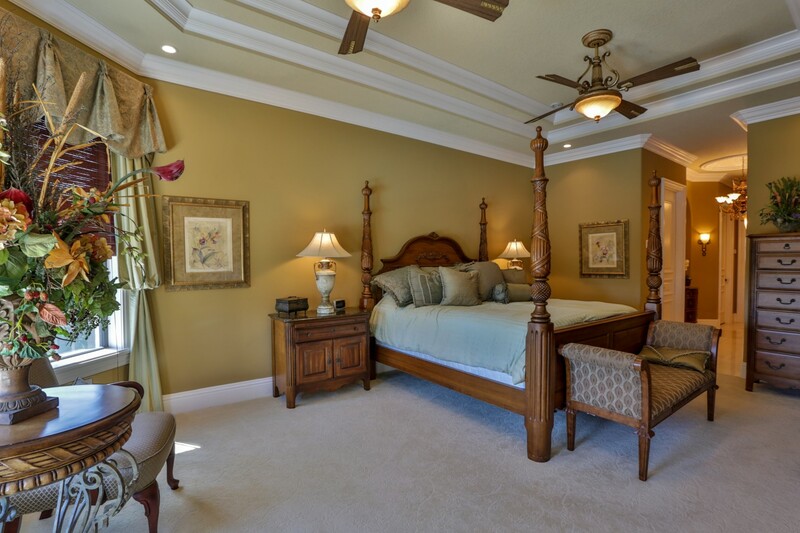 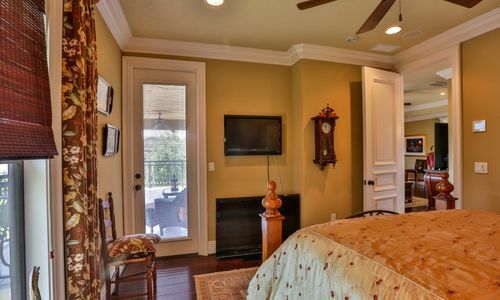 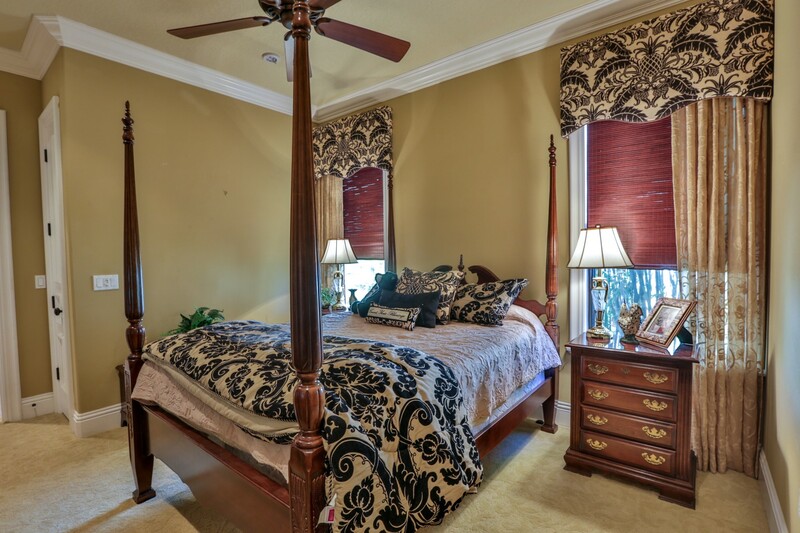 A large master suite with a marbled grand foyer, two chandeliers, triple crown molding, four separate walk-in closets, crystal doorknobs, Cherry vanities and a Jacuzzi sleigh air bathtub make this bedroom a sumptuous private retreat. 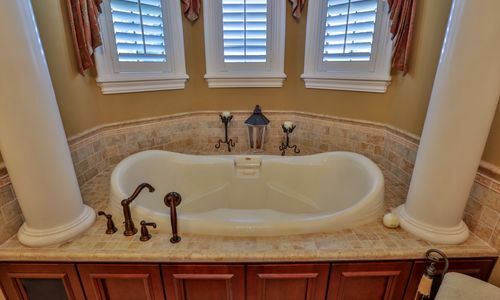 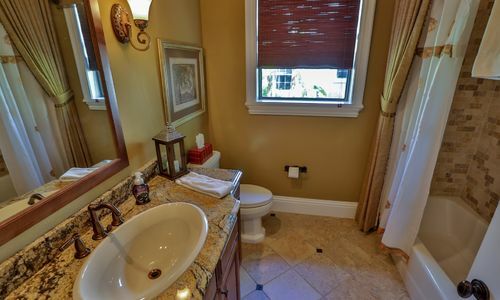 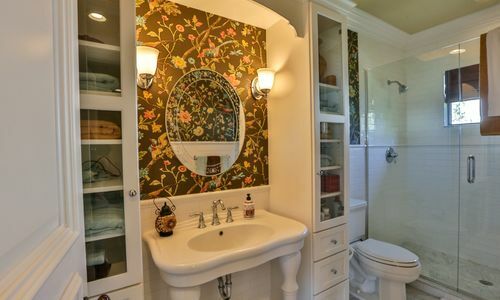 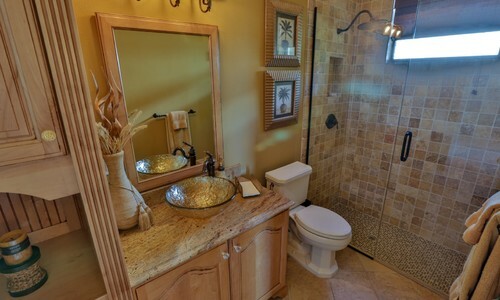 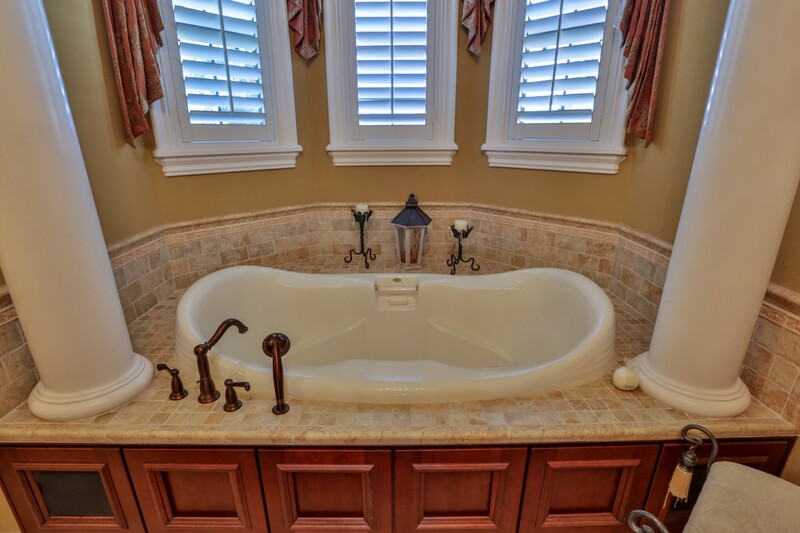 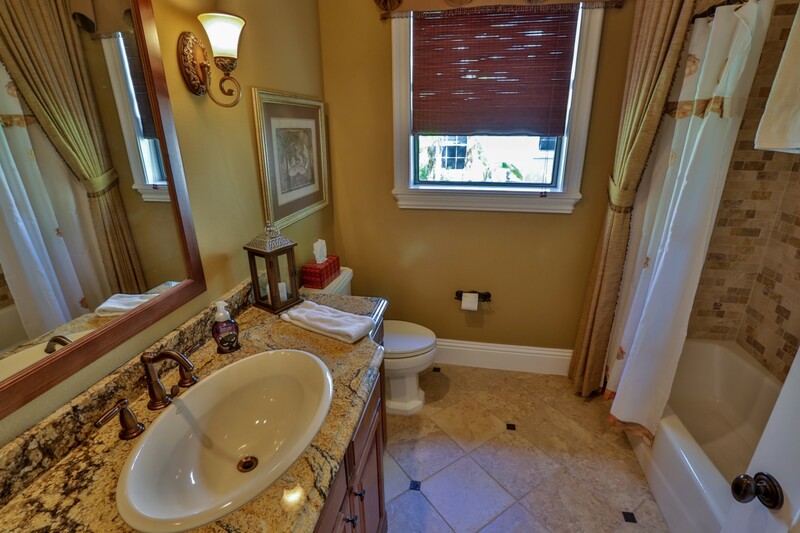 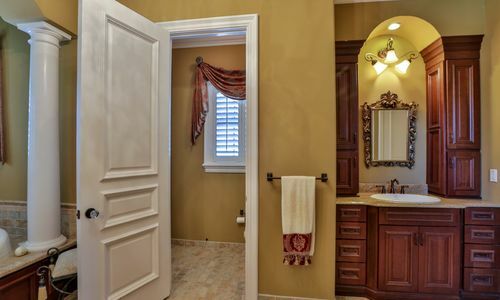 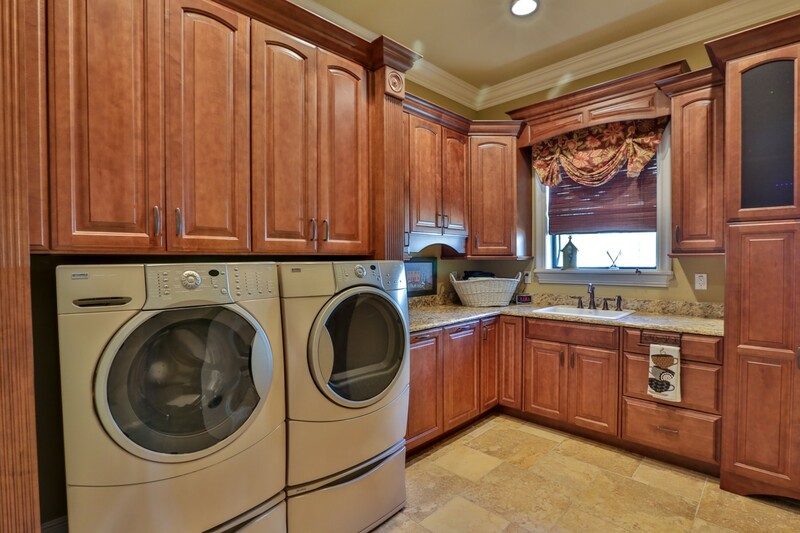 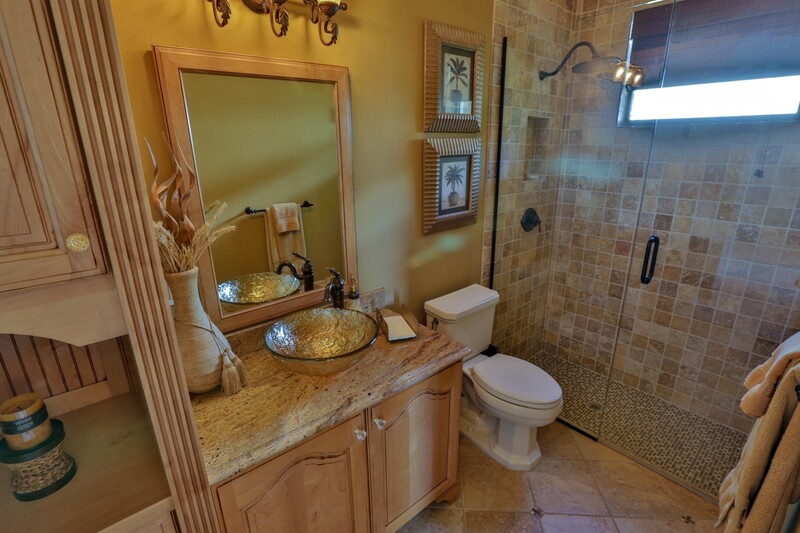 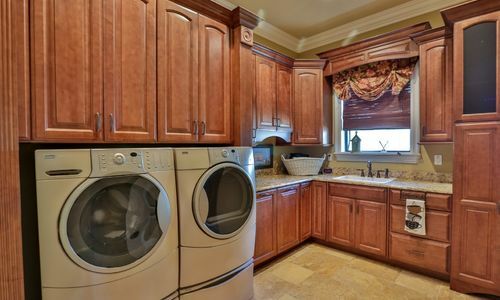 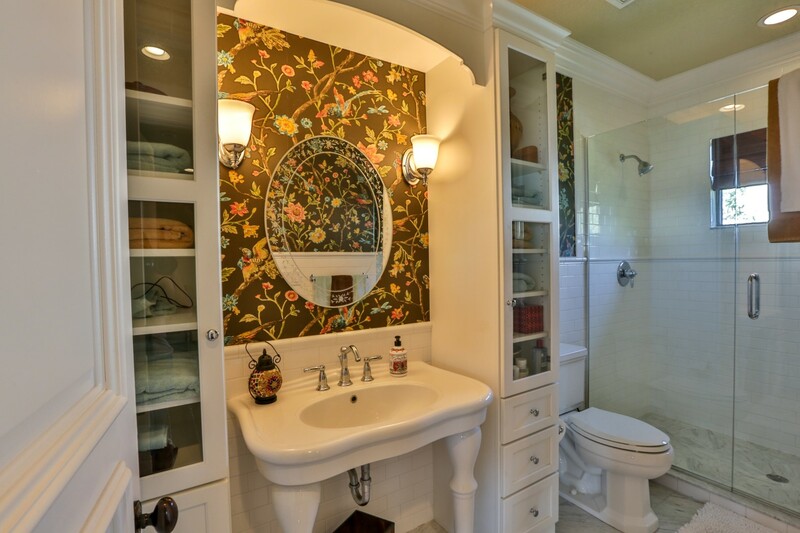 All 4 bedrooms have en-suite, well appointed baths. 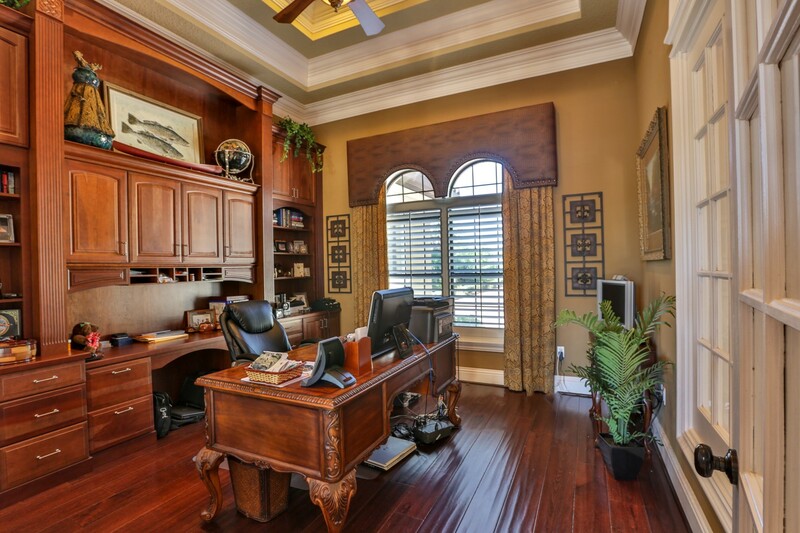 Extensive moldings and built-ins throughout the study/library. 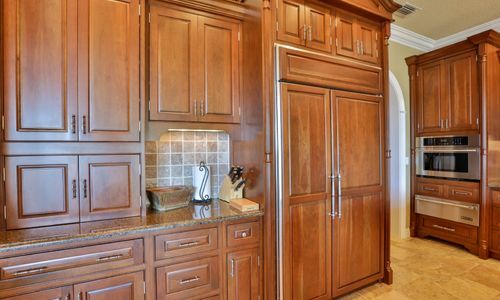 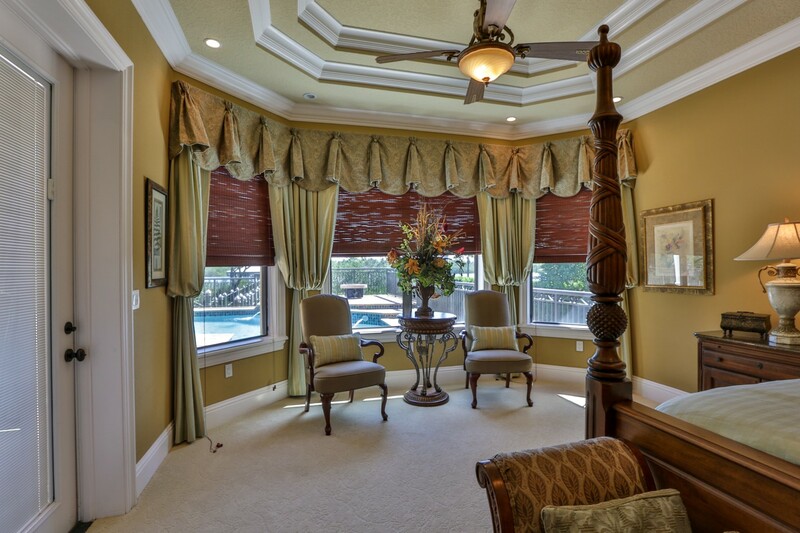 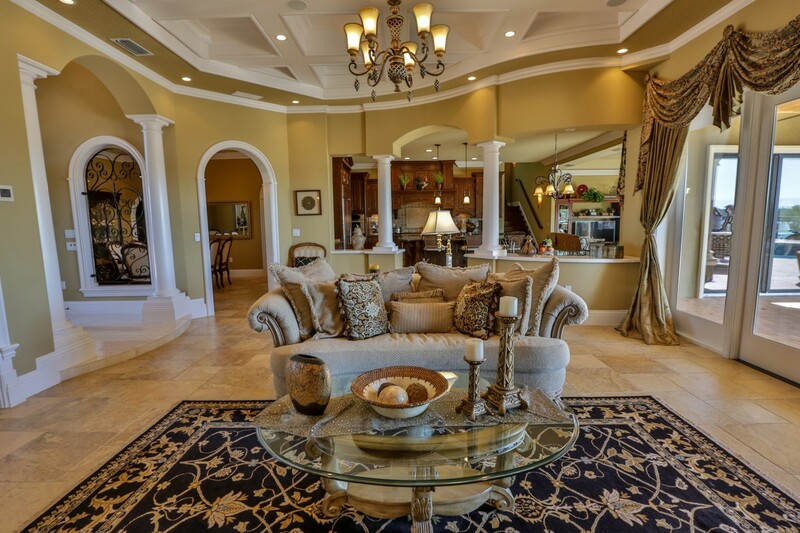 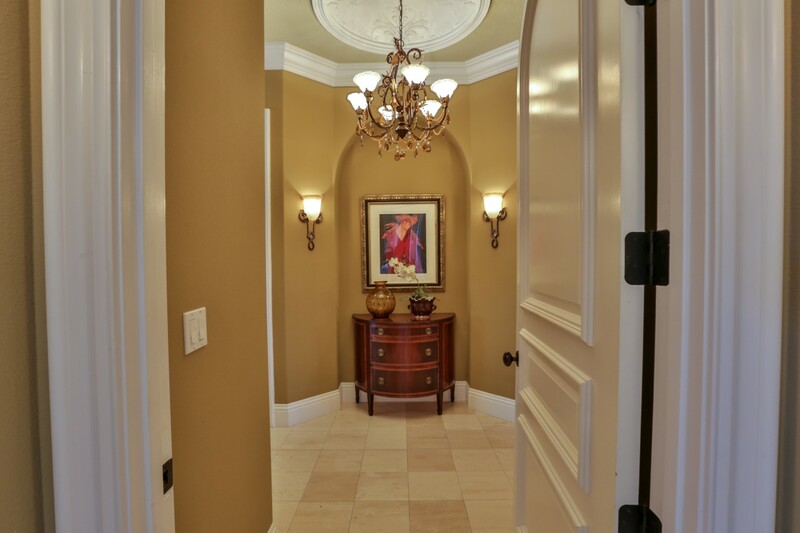 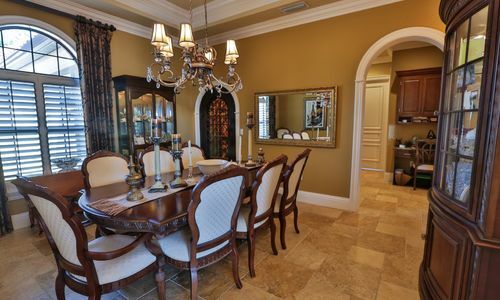 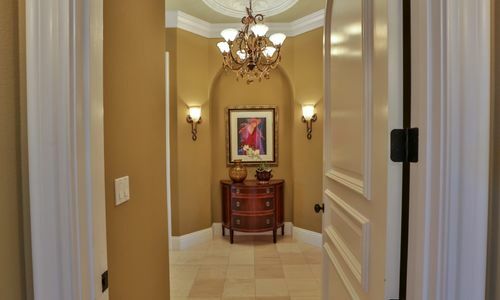 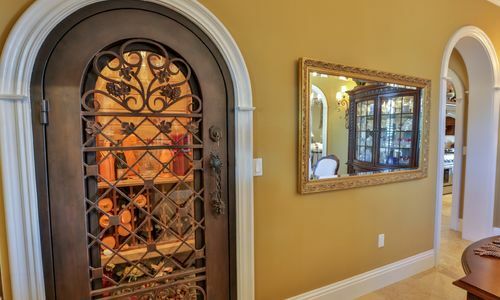 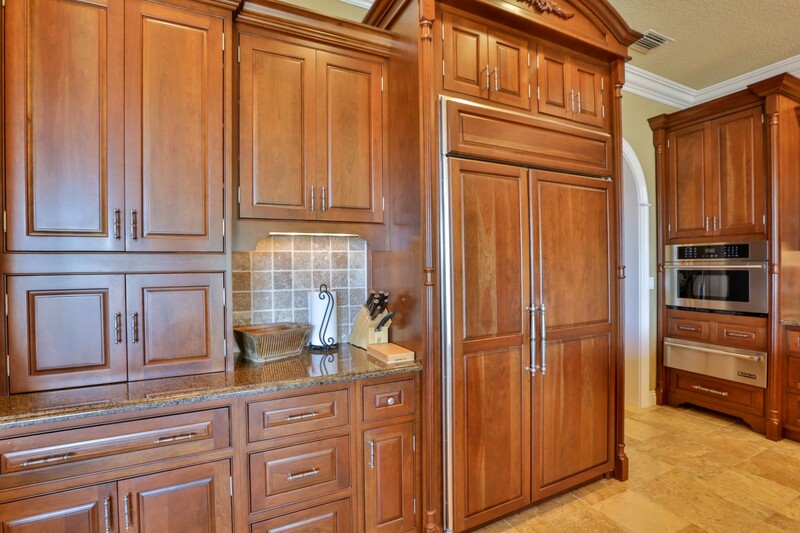 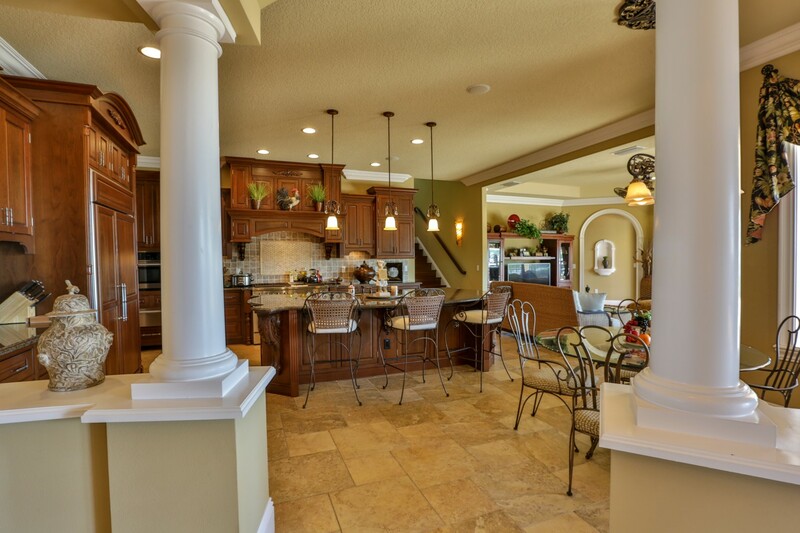 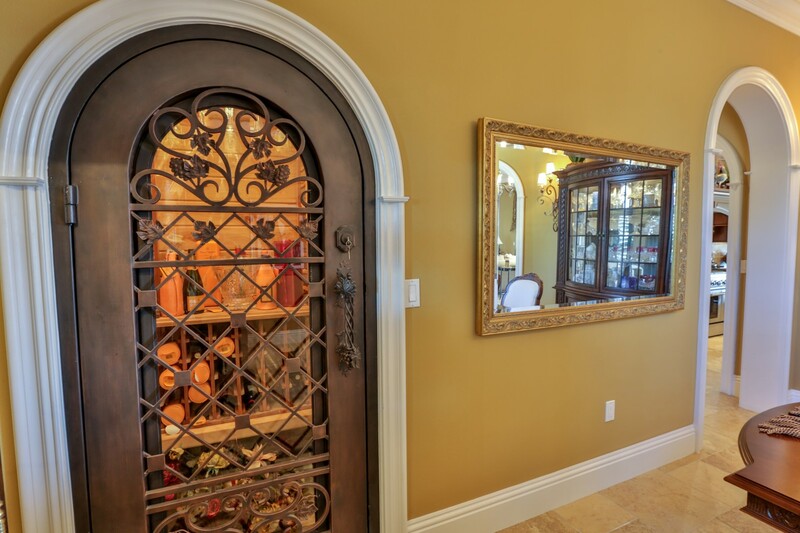 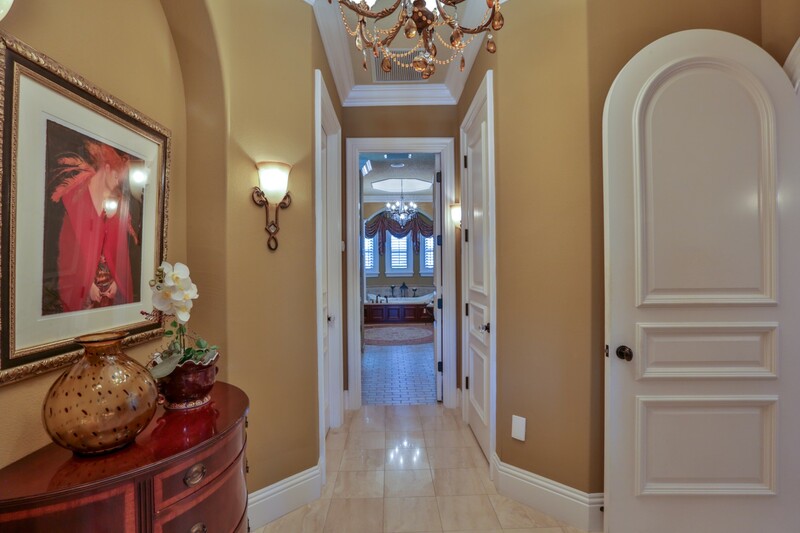 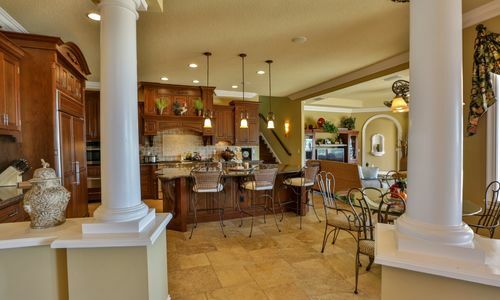 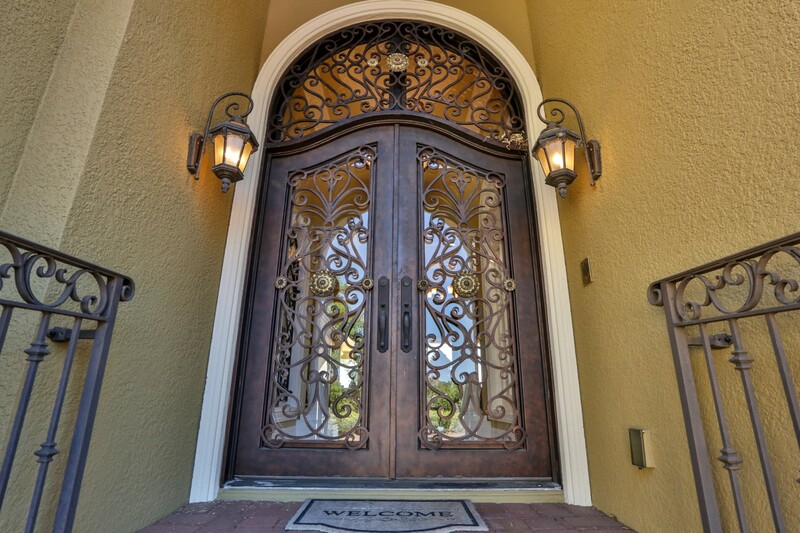 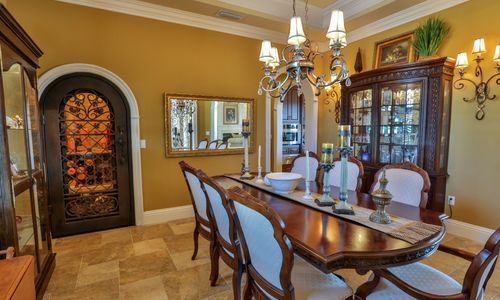 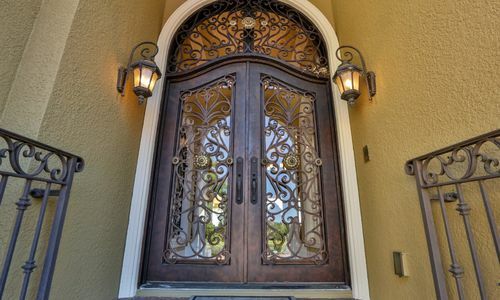 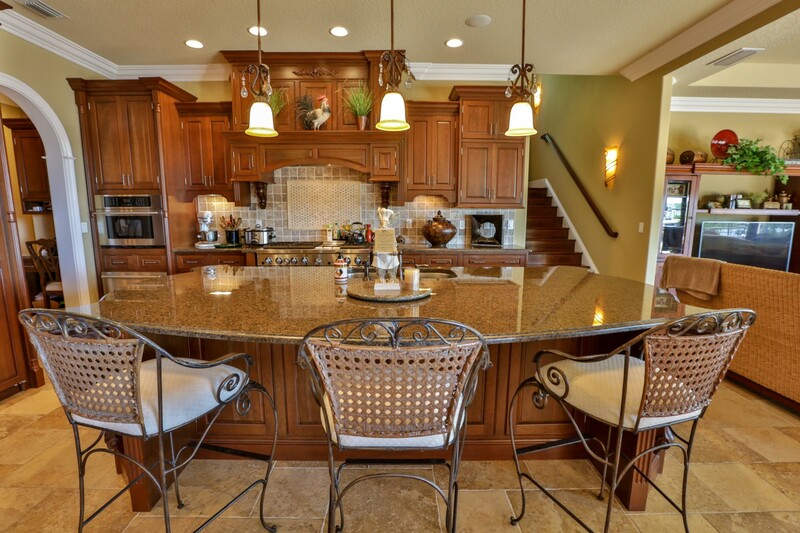 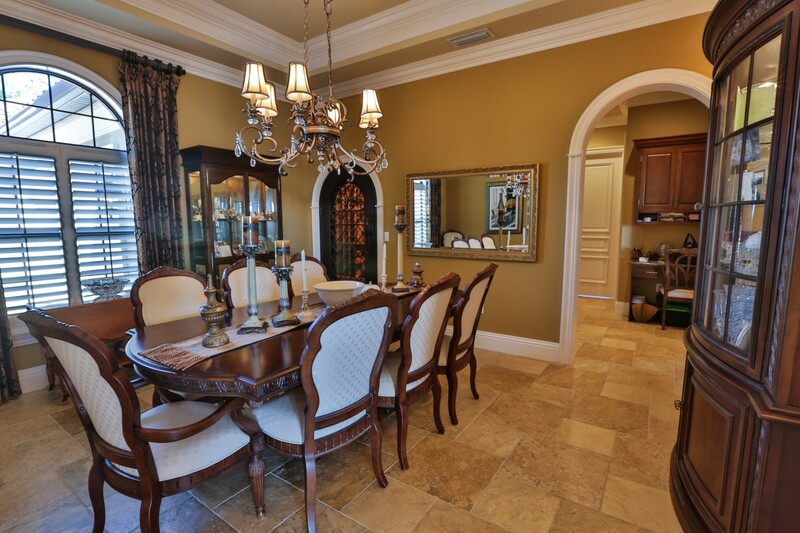 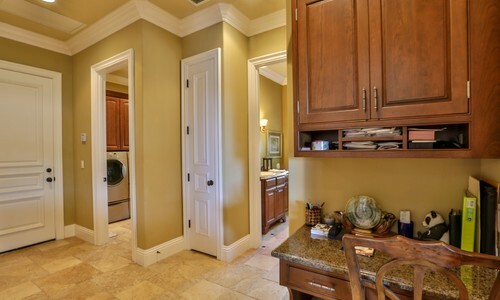 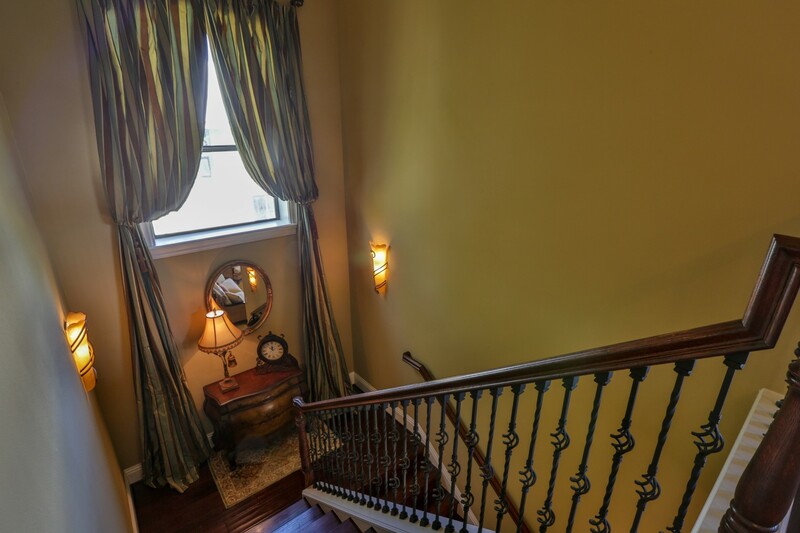 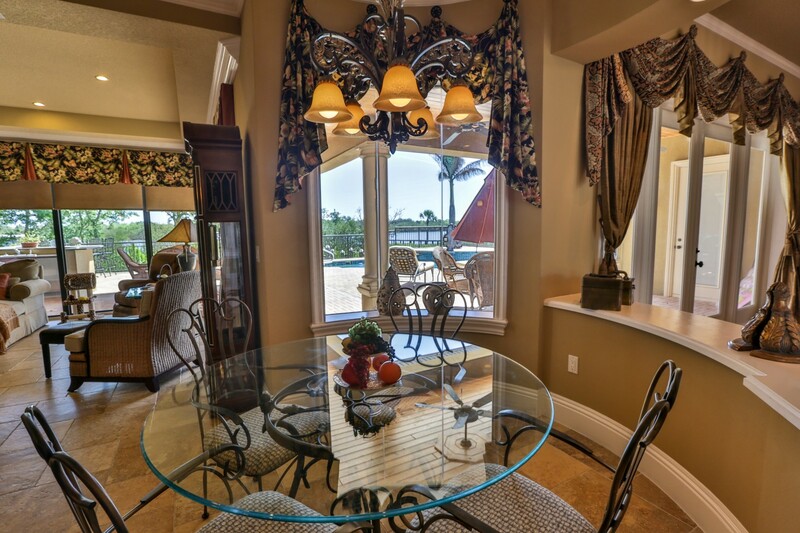 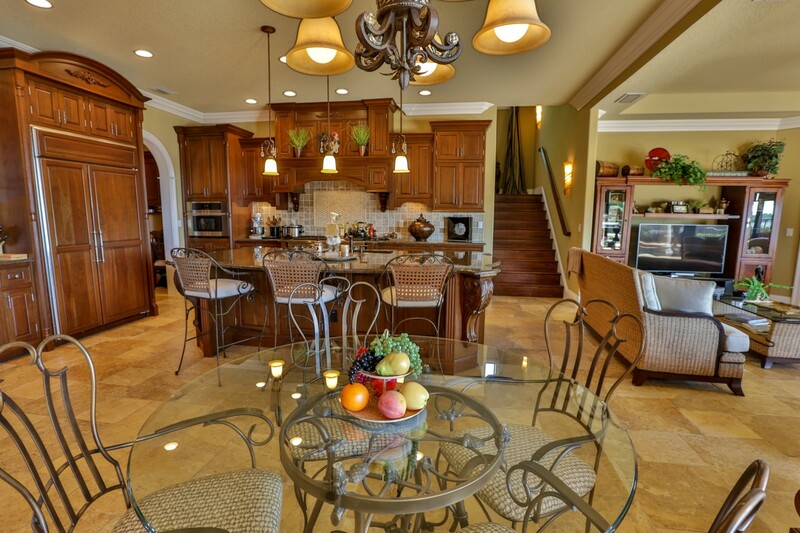 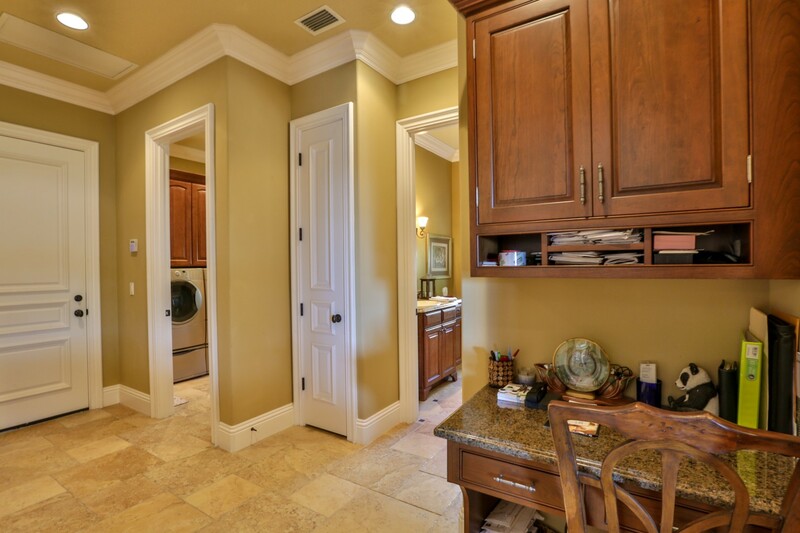 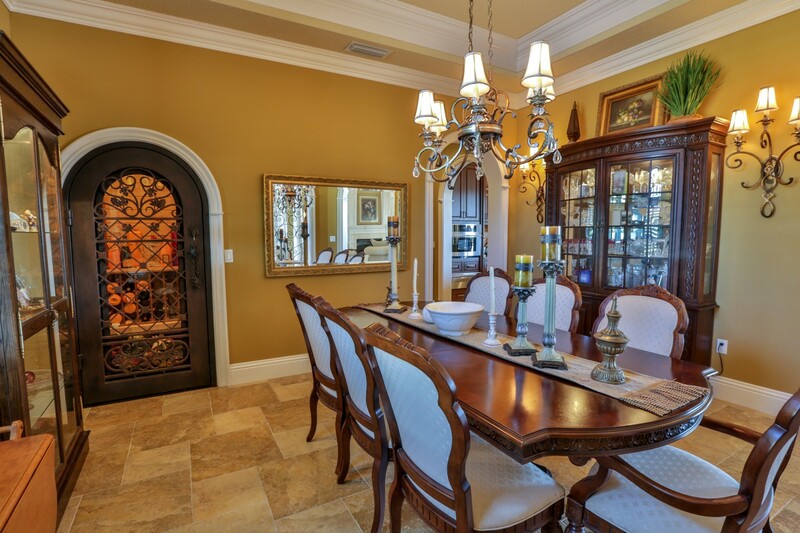 The dining room features a custom wine closet with beautifully embellished Castle entry door. 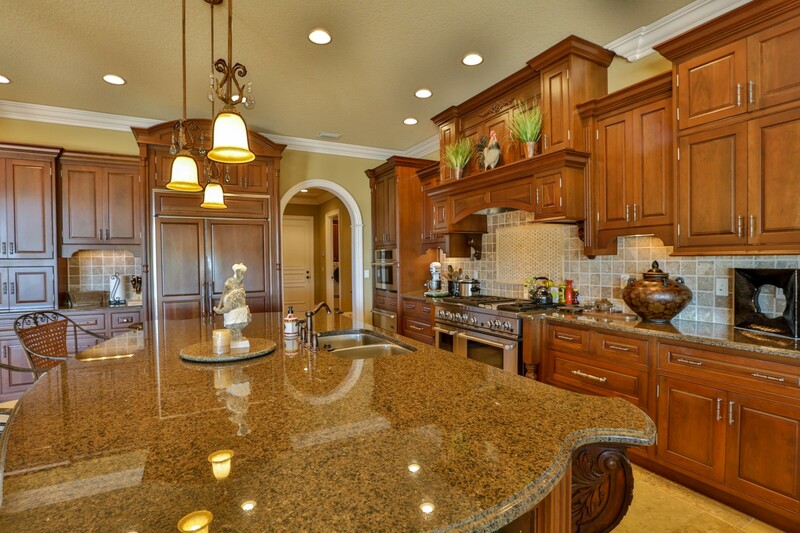 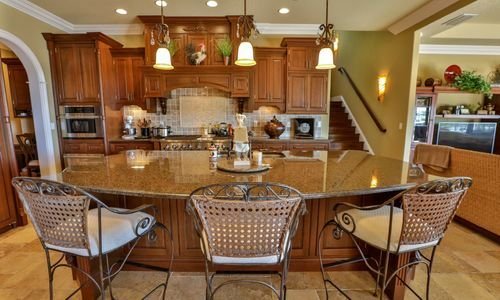 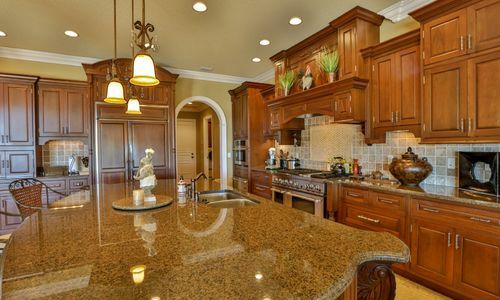 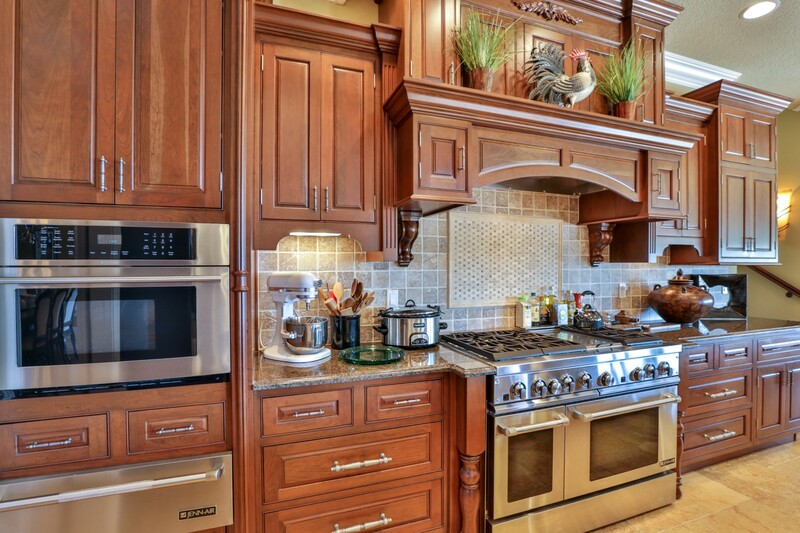 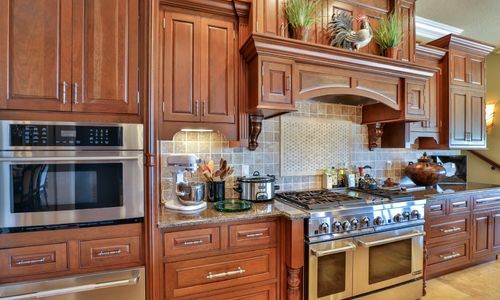 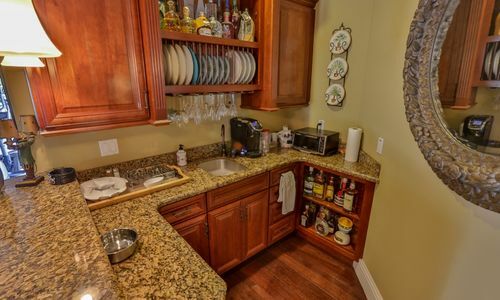 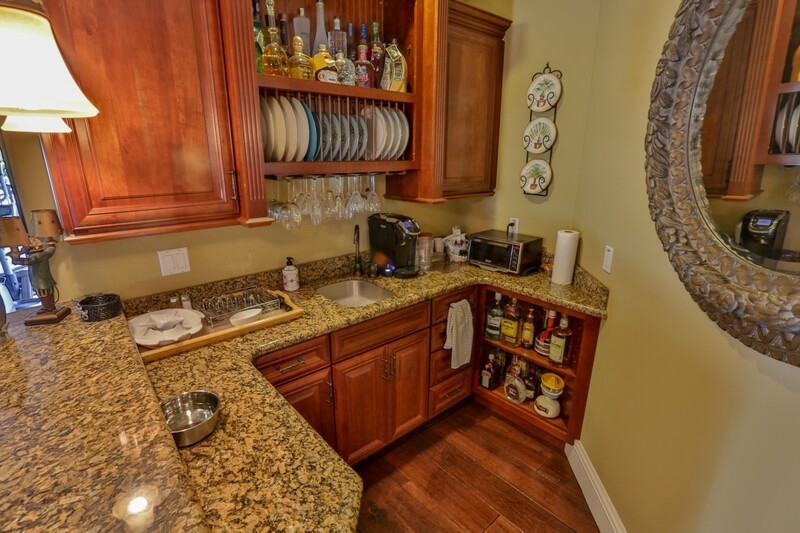 The state of the art kitchen is fully equipped and a chef’s dream with a 48 professional Jenn-Aire six burner gas range and oven, custom designed cherry wood cabinetry, stainless steel appliances, and a polished granite island perfect for entertaining. 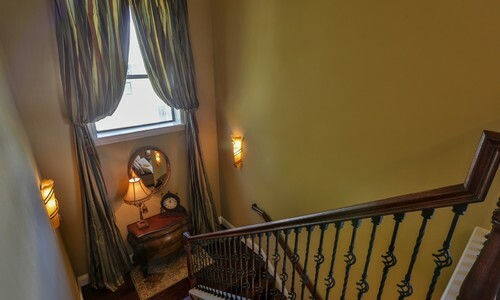 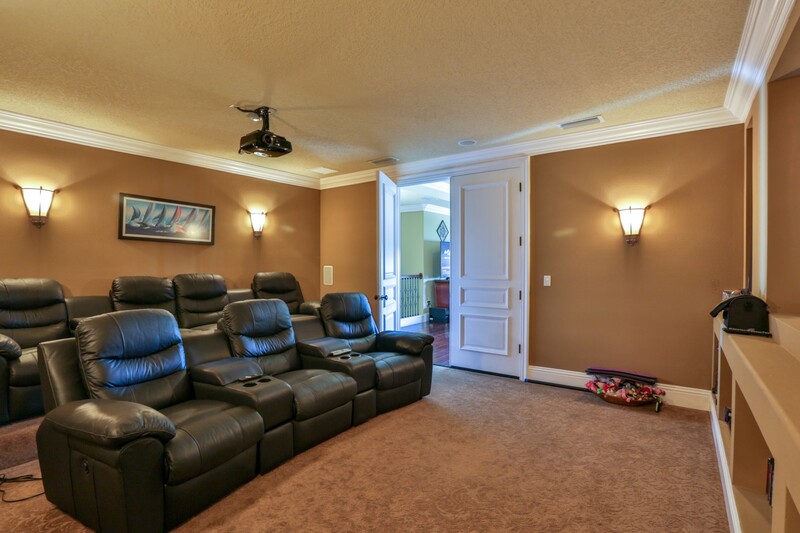 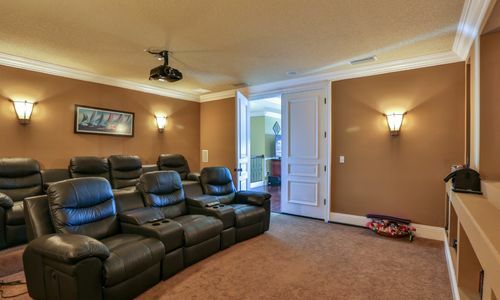 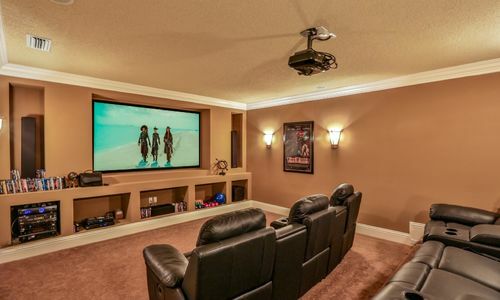 The second floor features all wood and marble floors, a home theater that seats seven, mini kitchen and outside terrace with a cozy fireplace. 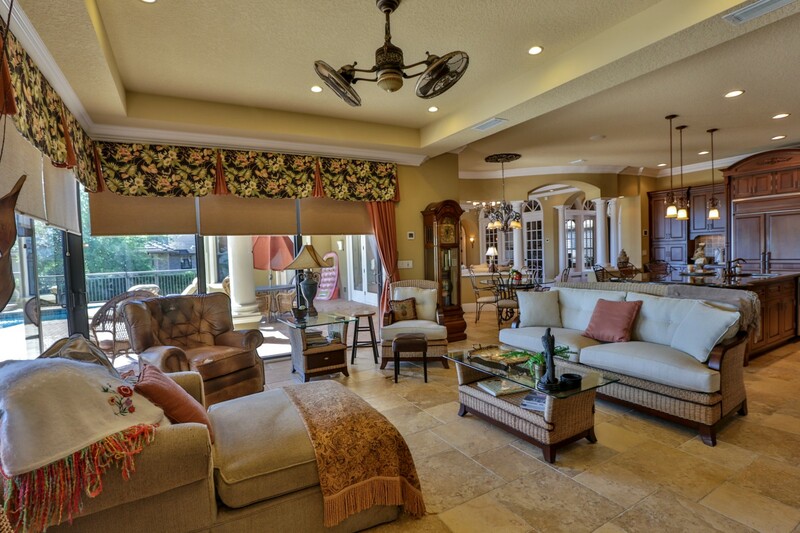 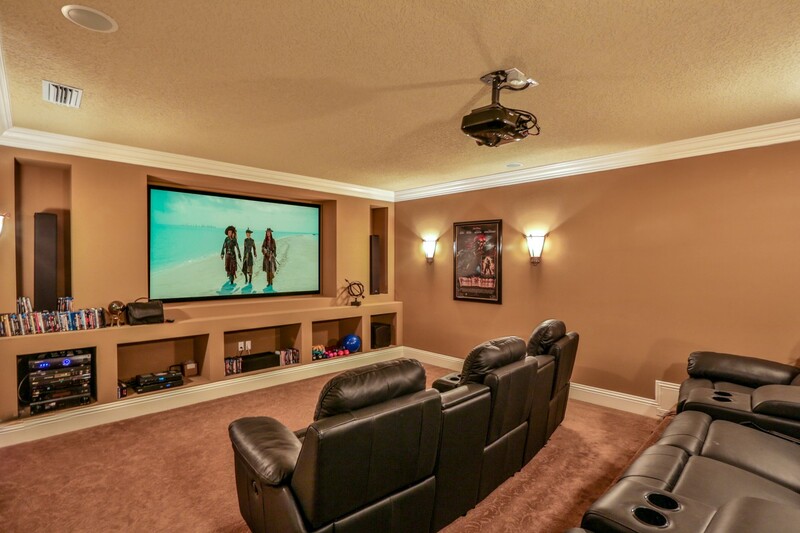 The interior and exterior of the property is wired with a state of the art sound system. 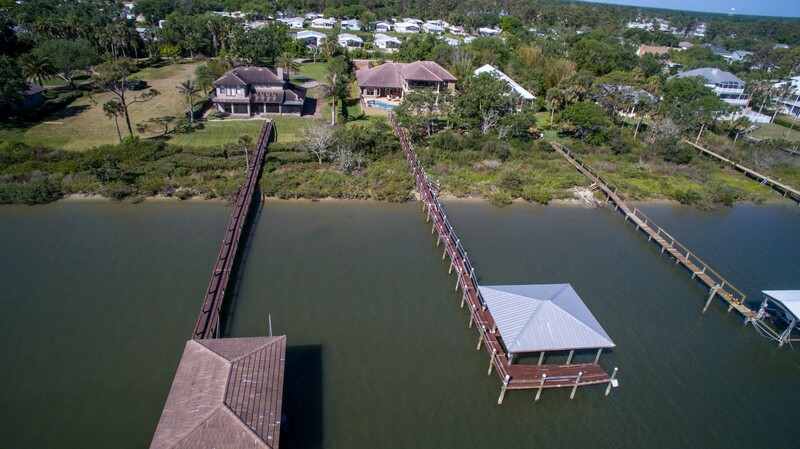 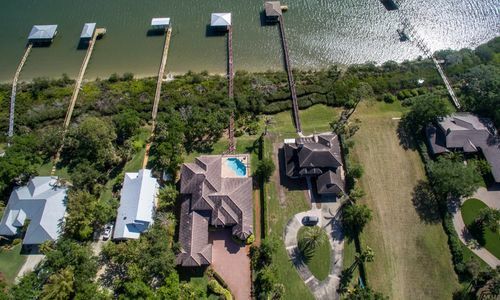 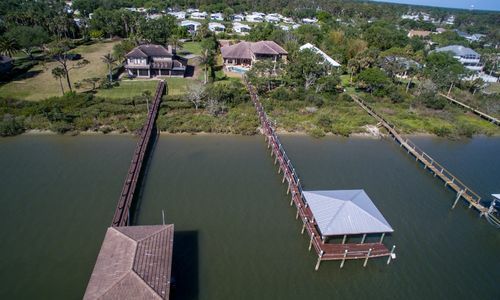 A dock with double boat lifts and boathouse with metal roof, makes this home truly a paradise.